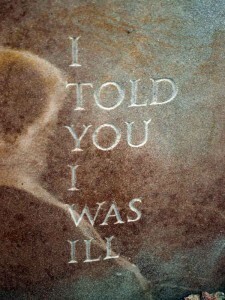 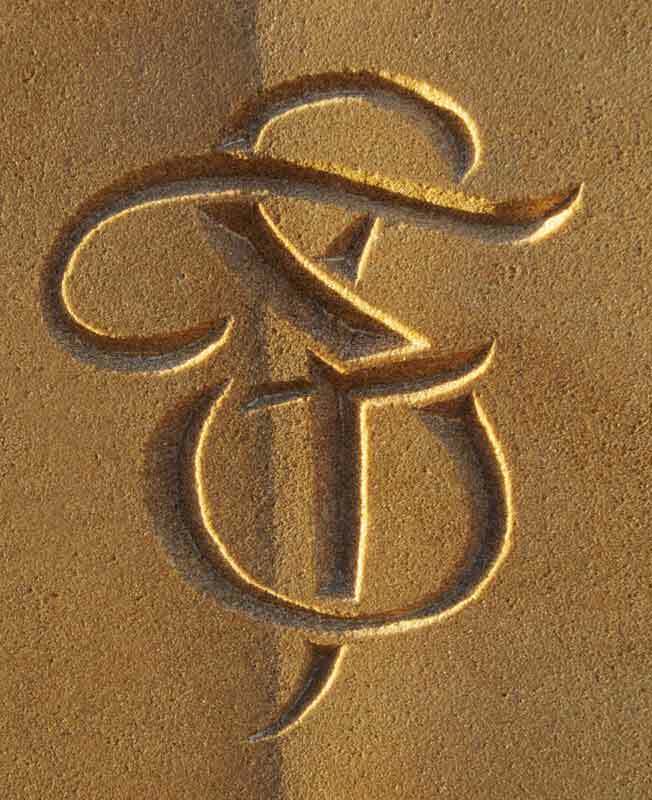 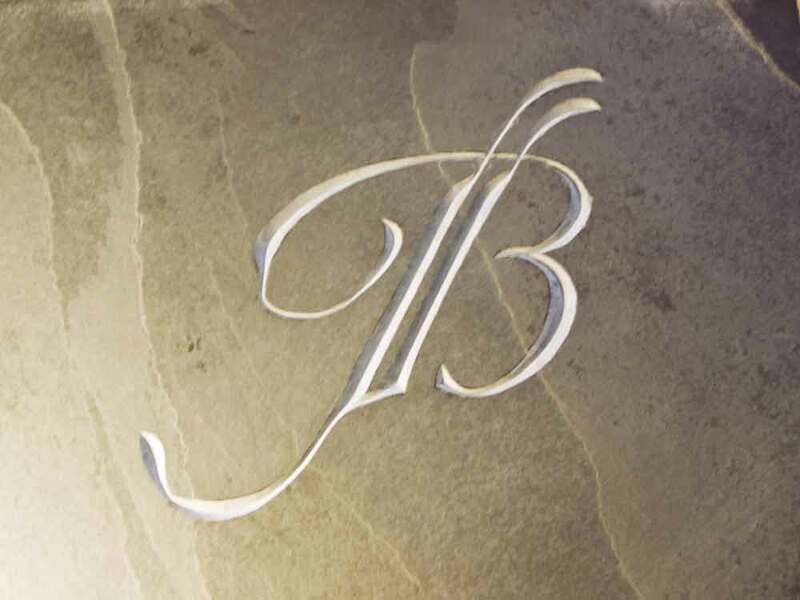 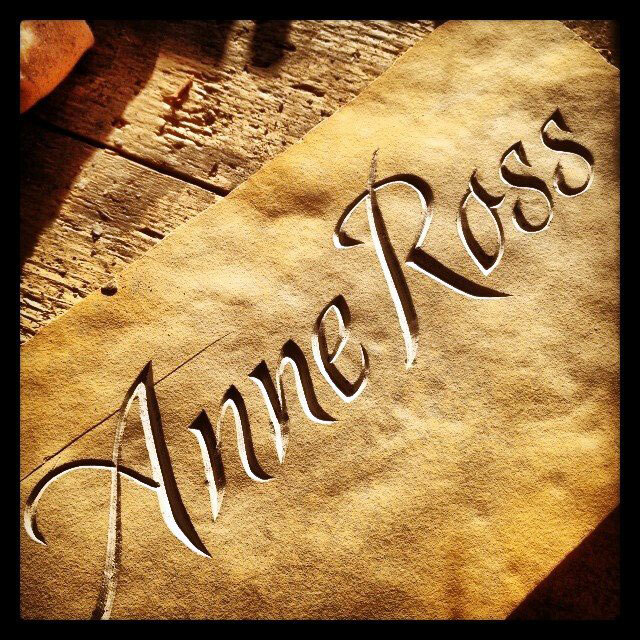 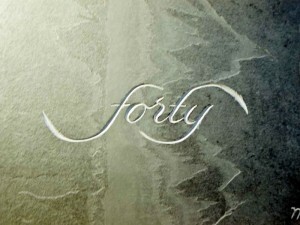 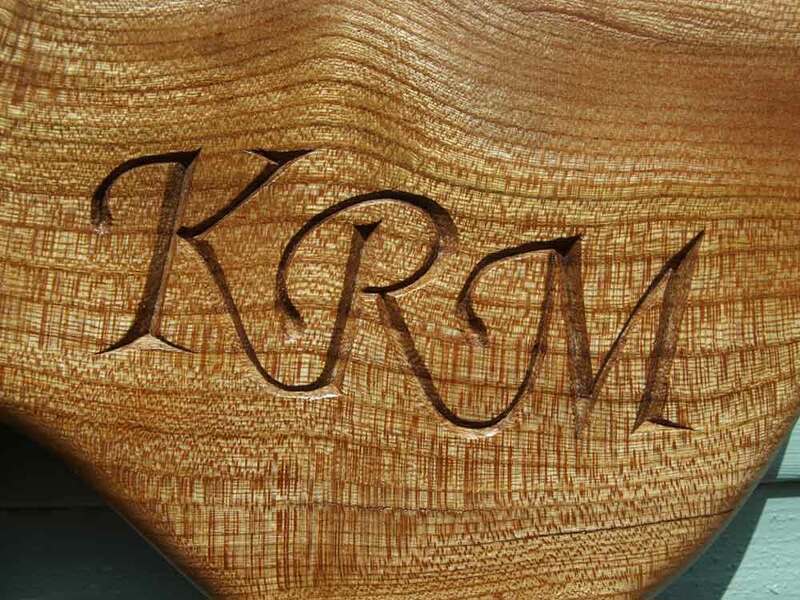 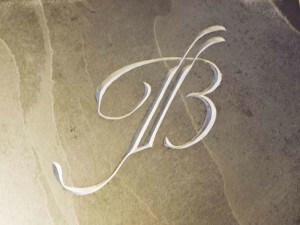 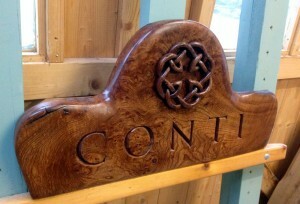 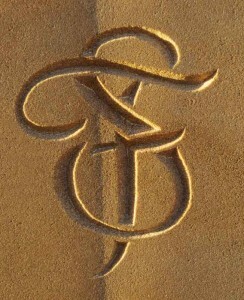 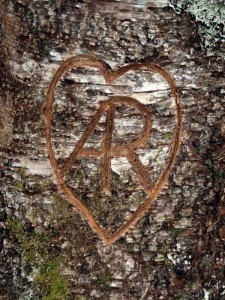 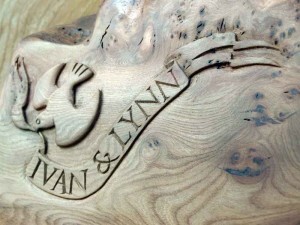 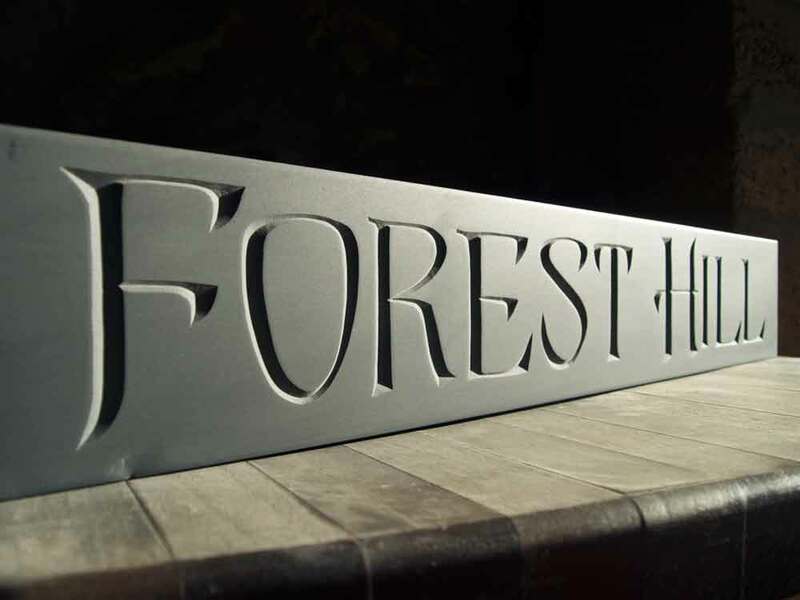 Welcome to my gallery of previous letter-carving projects. 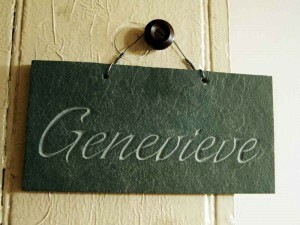 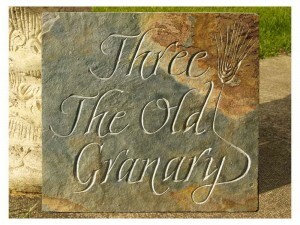 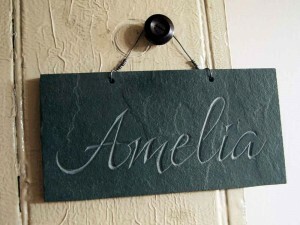 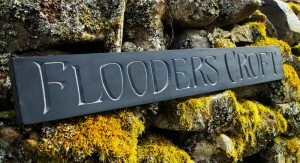 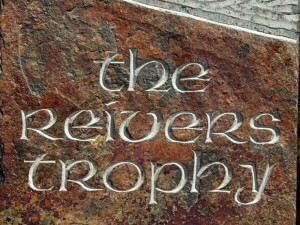 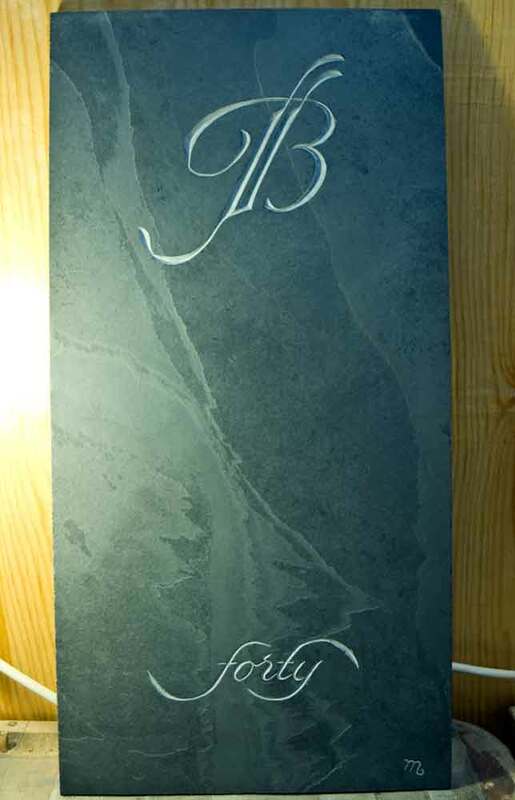 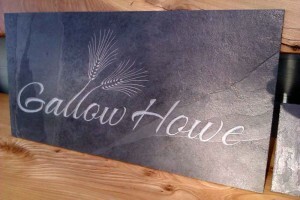 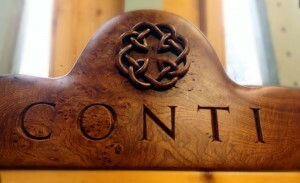 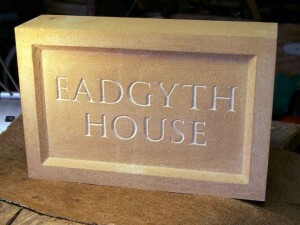 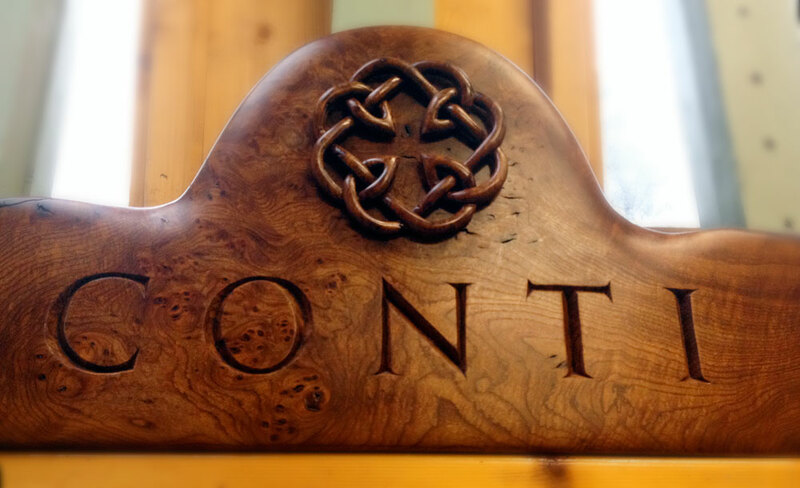 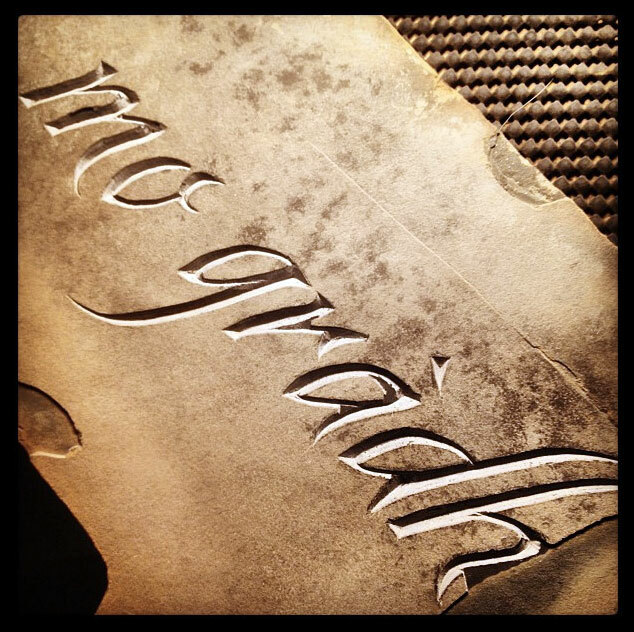 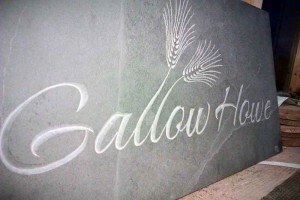 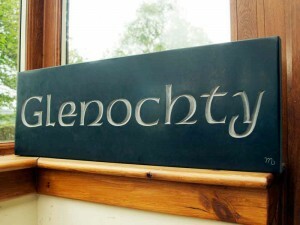 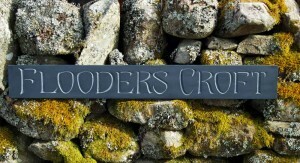 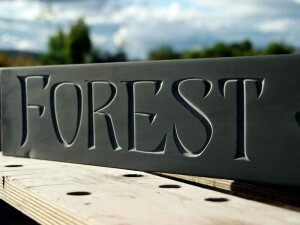 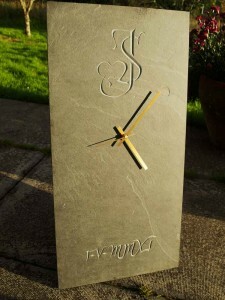 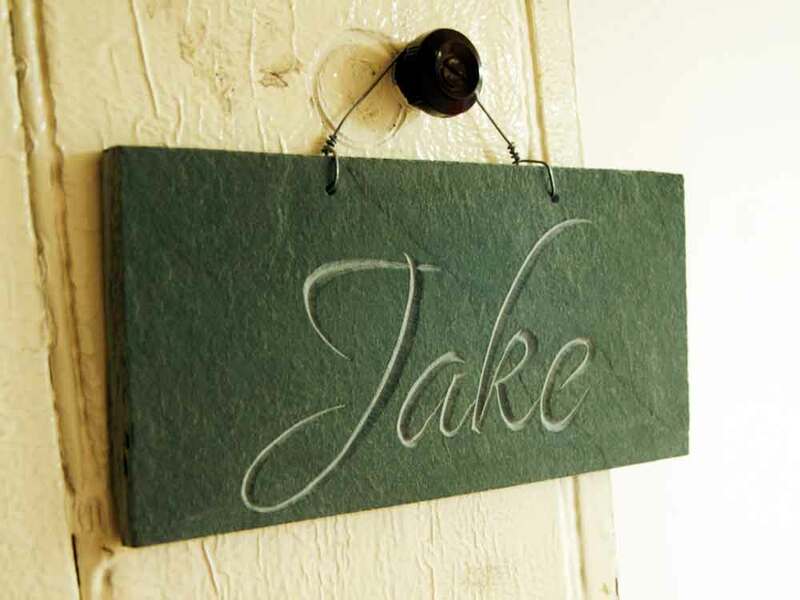 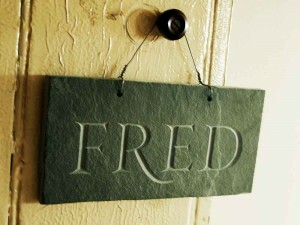 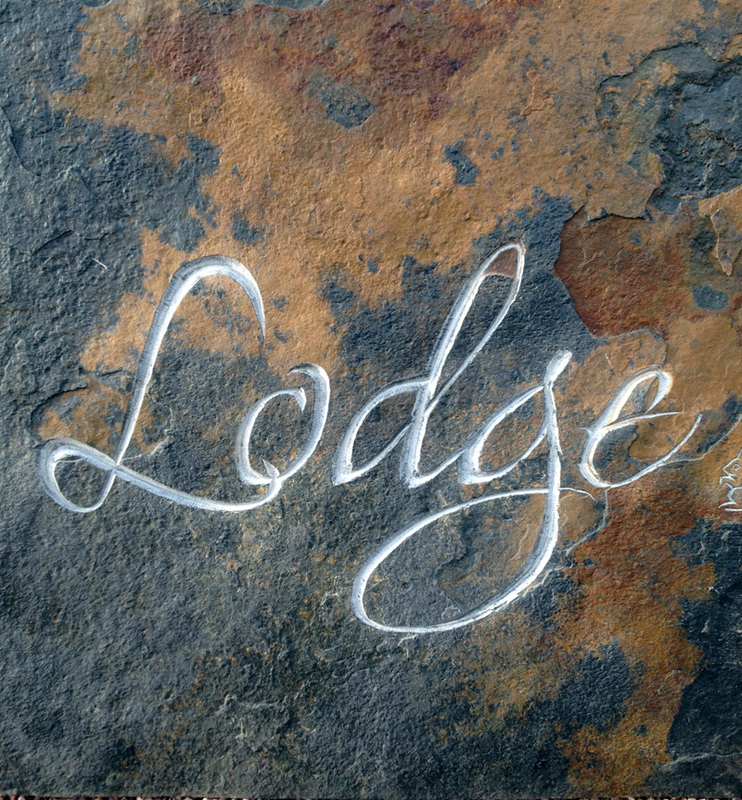 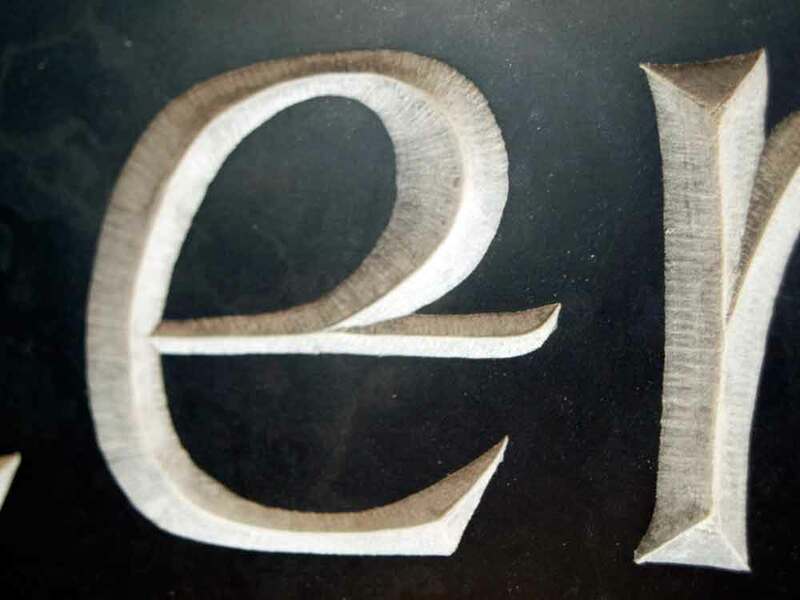 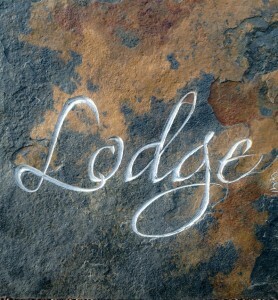 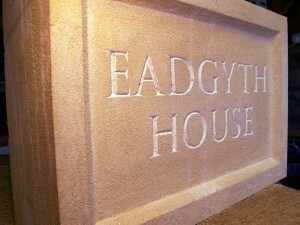 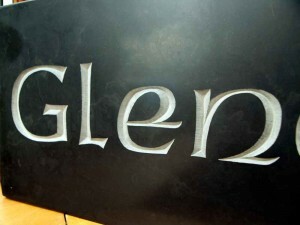 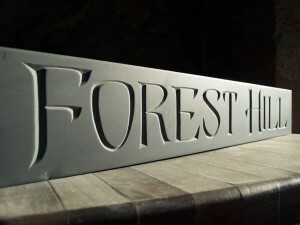 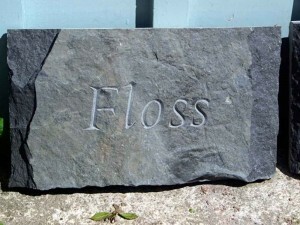 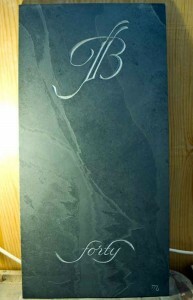 Below are examples of my wood, stone and slate letter-carving. 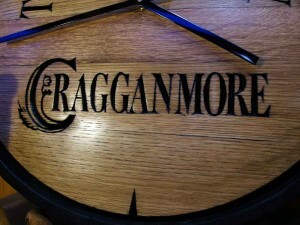 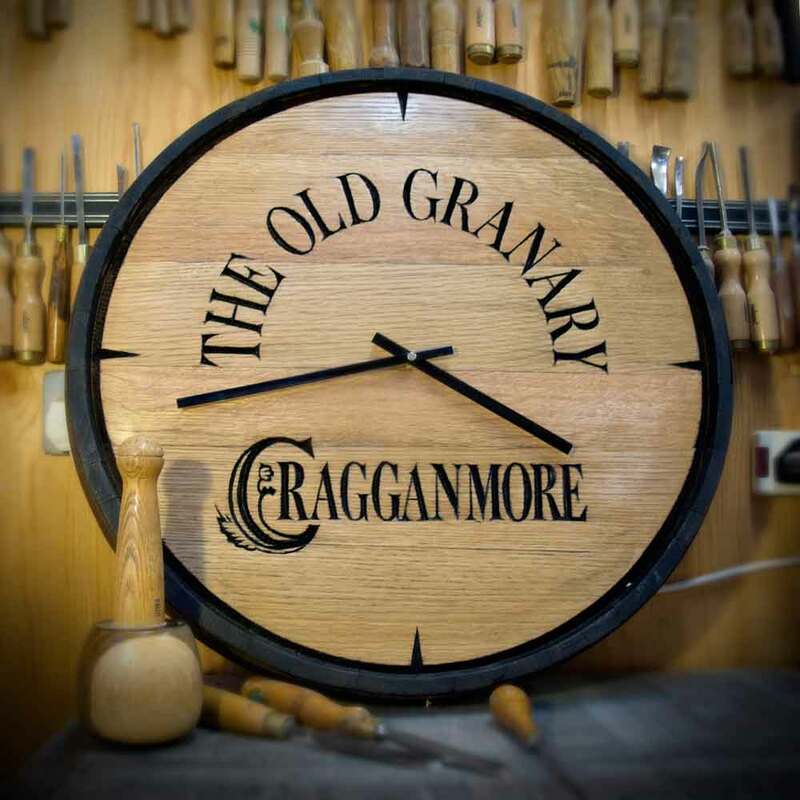 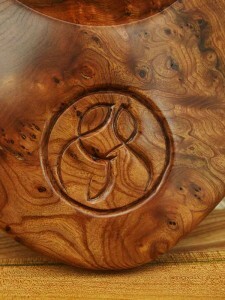 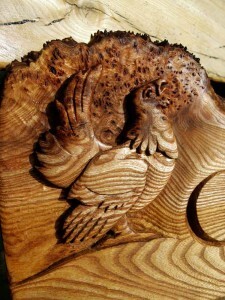 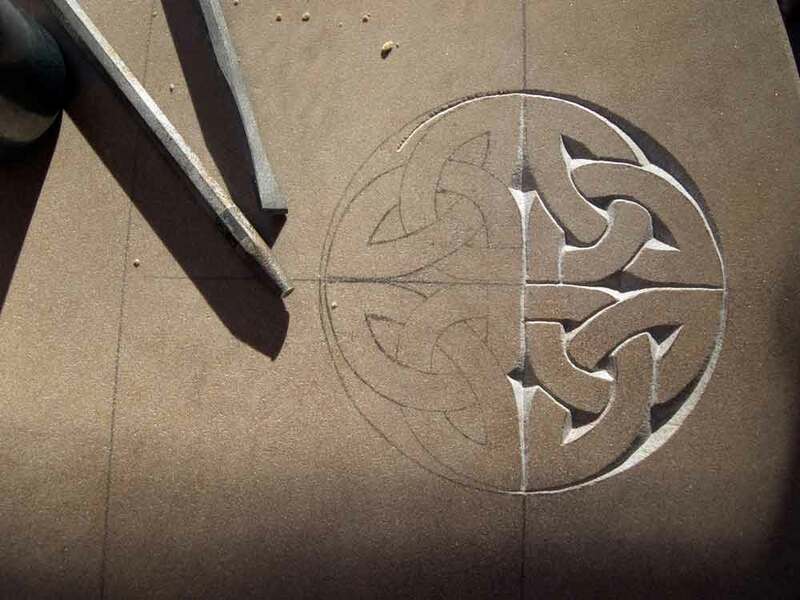 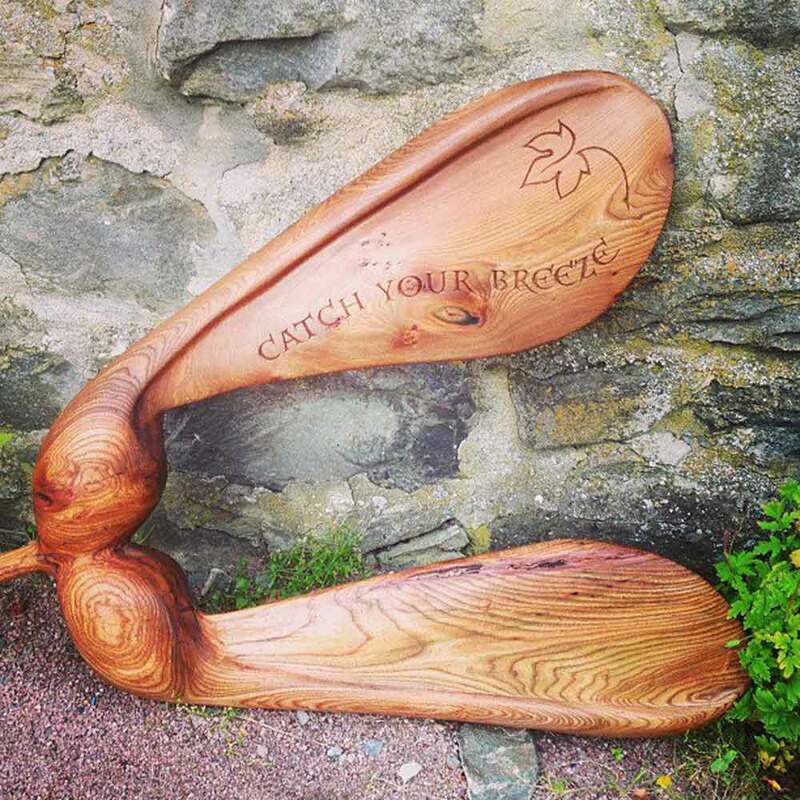 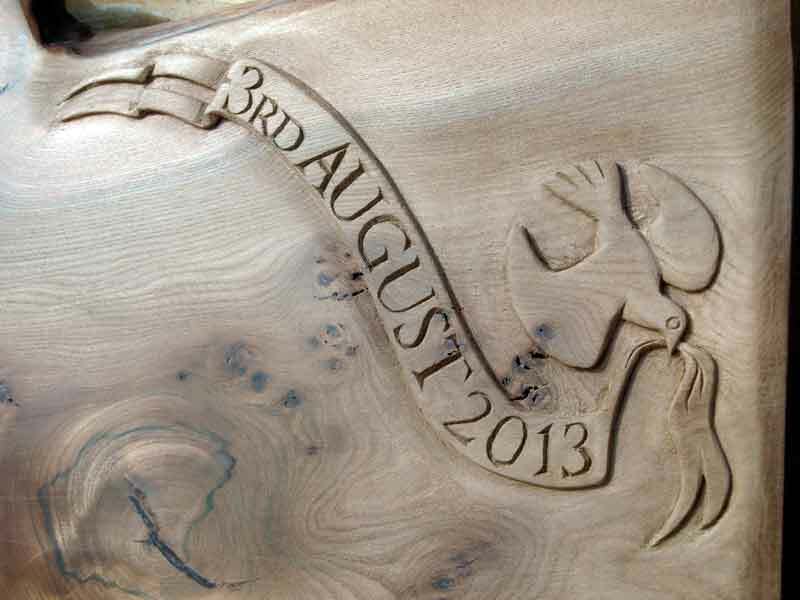 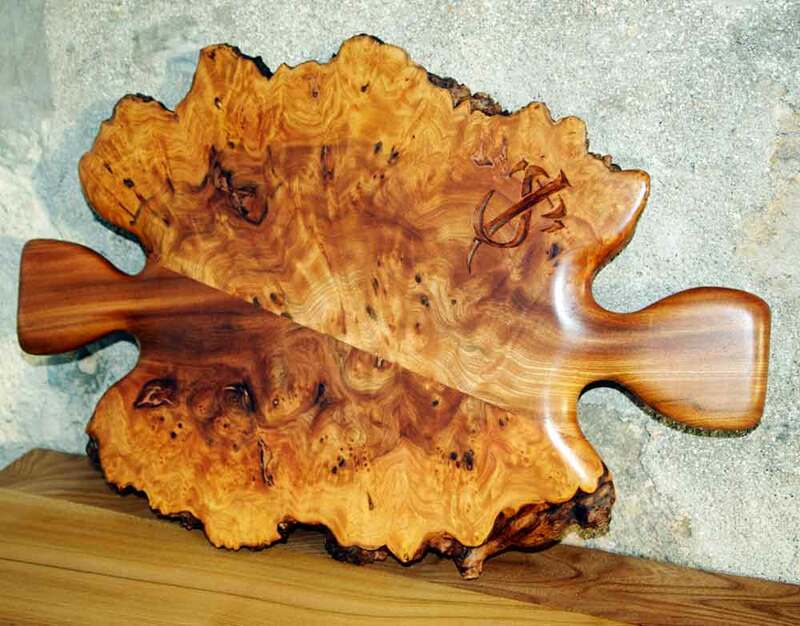 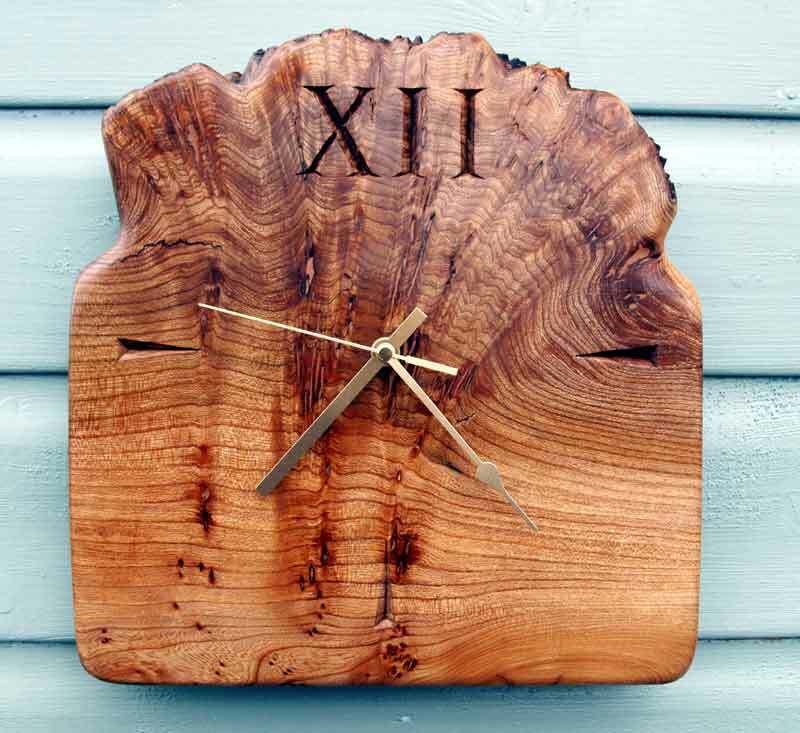 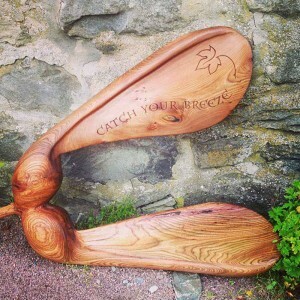 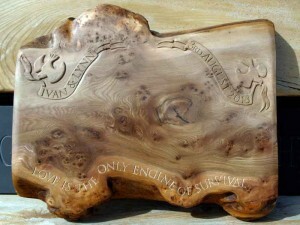 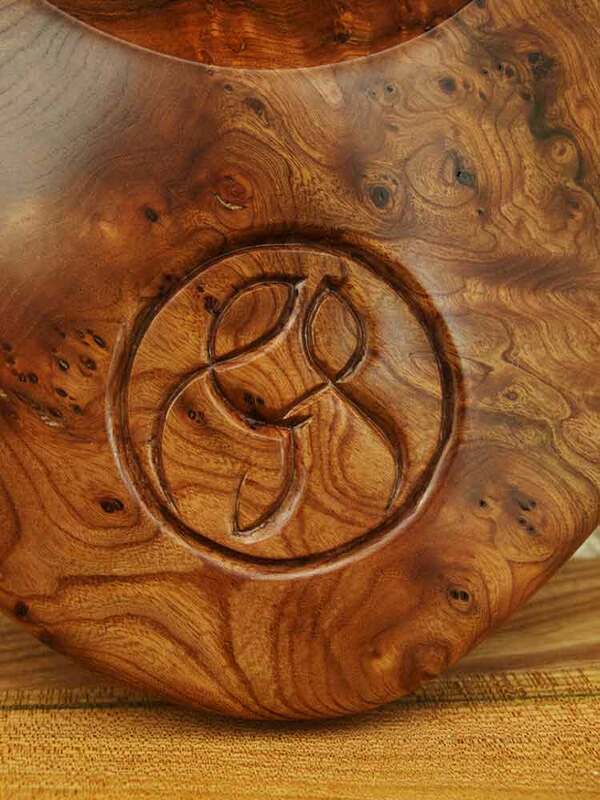 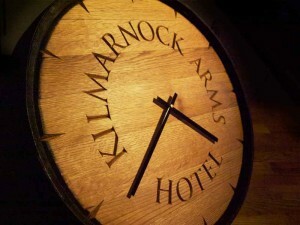 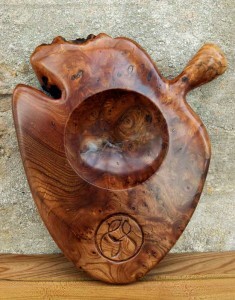 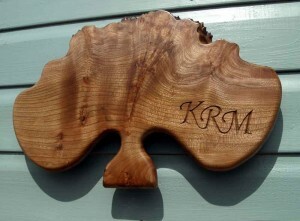 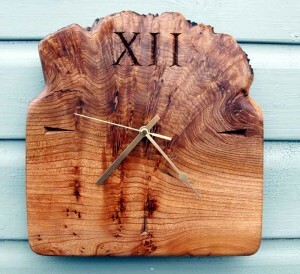 These are all hand-carved in the traditional manner with mallet and chisels. 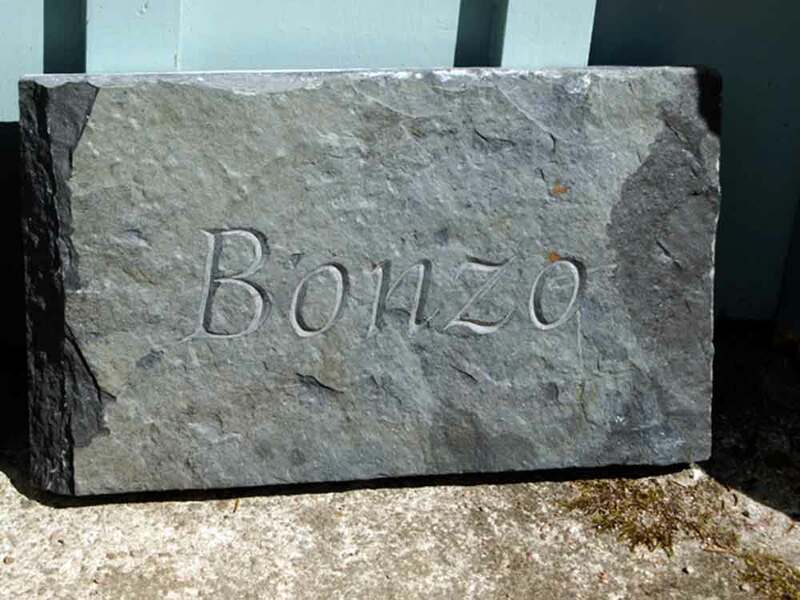 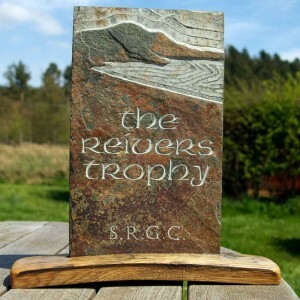 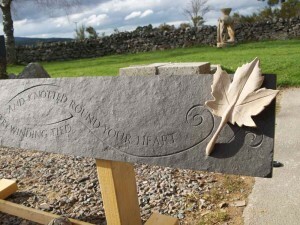 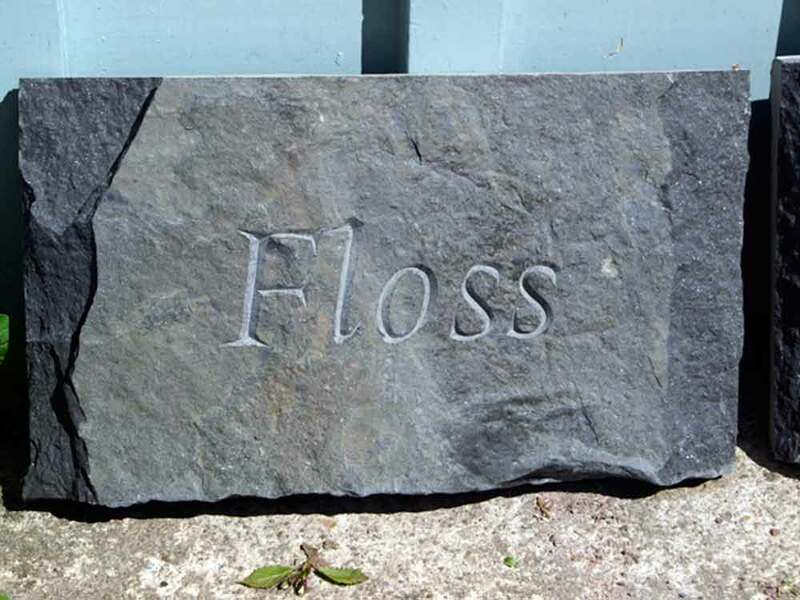 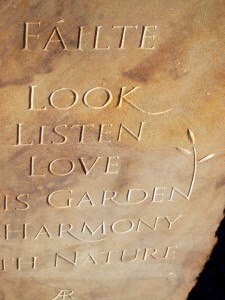 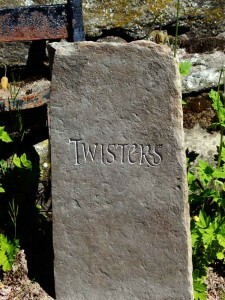 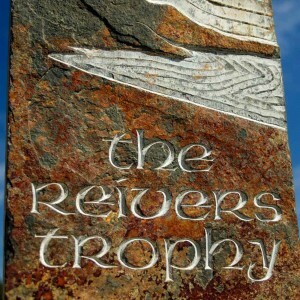 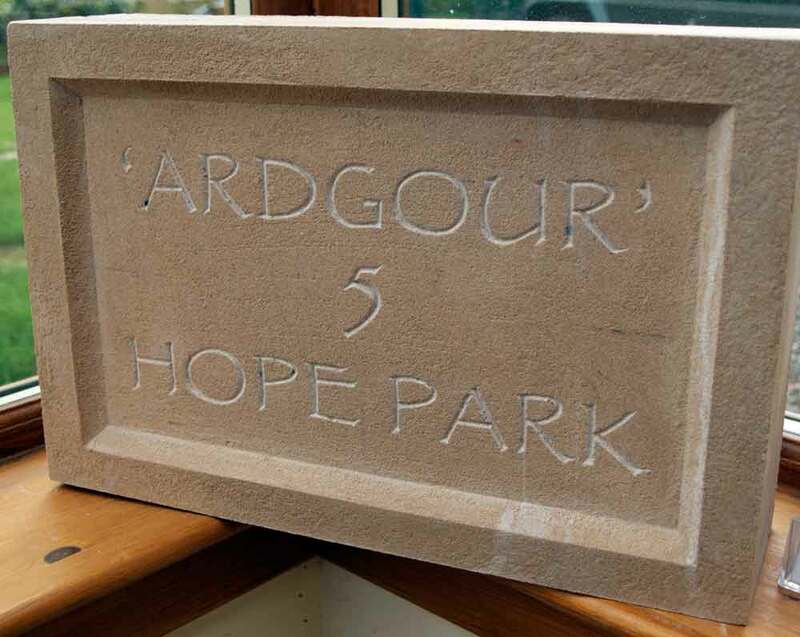 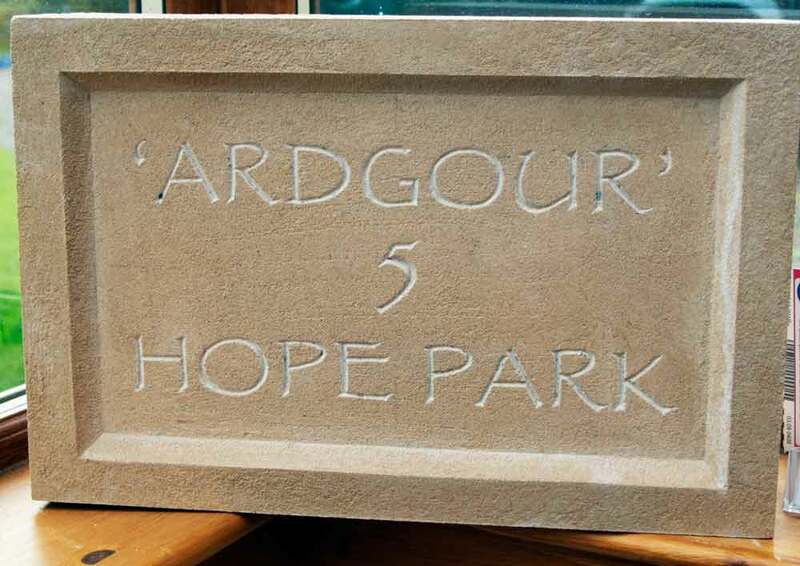 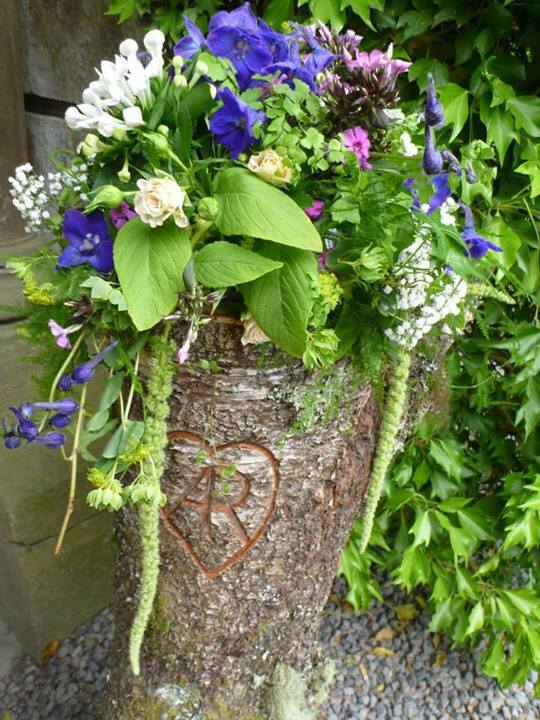 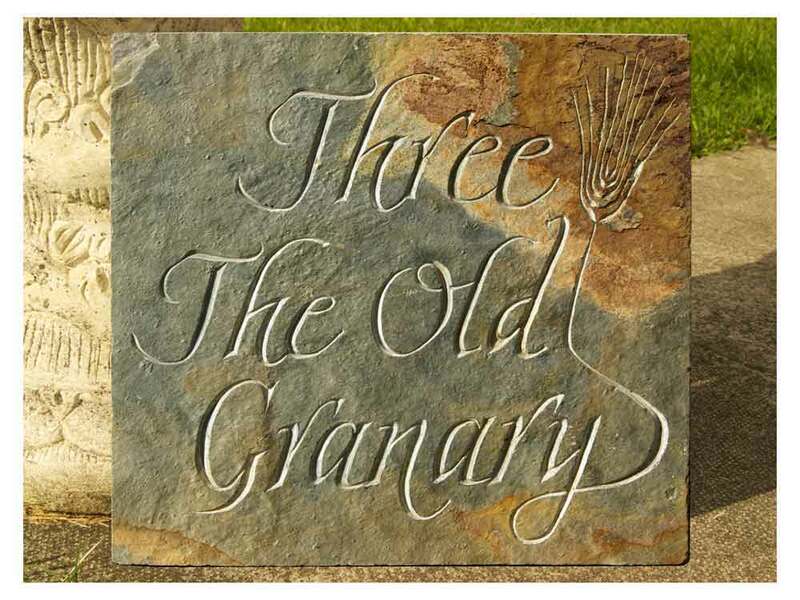 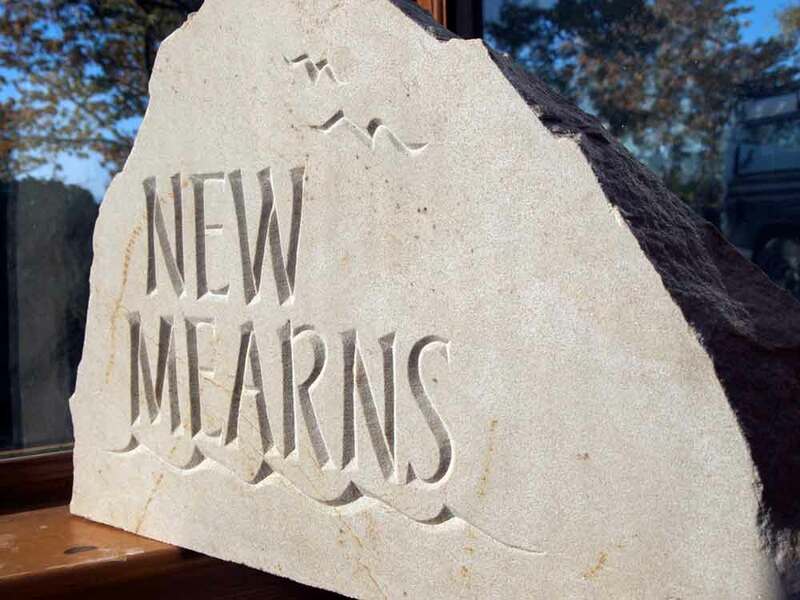 Subjects can include standing stones or water features for the garden displaying poetry or sayings, headstones and memorials, memorials for pets and house names. 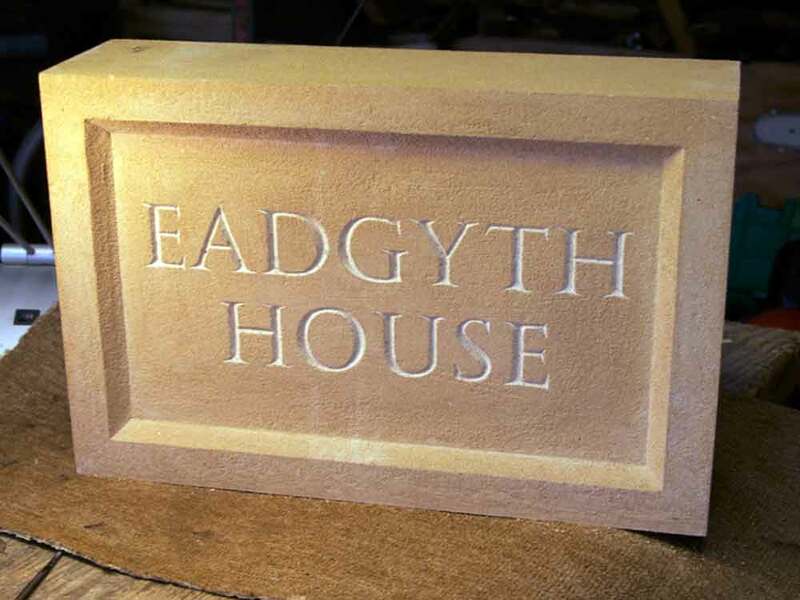 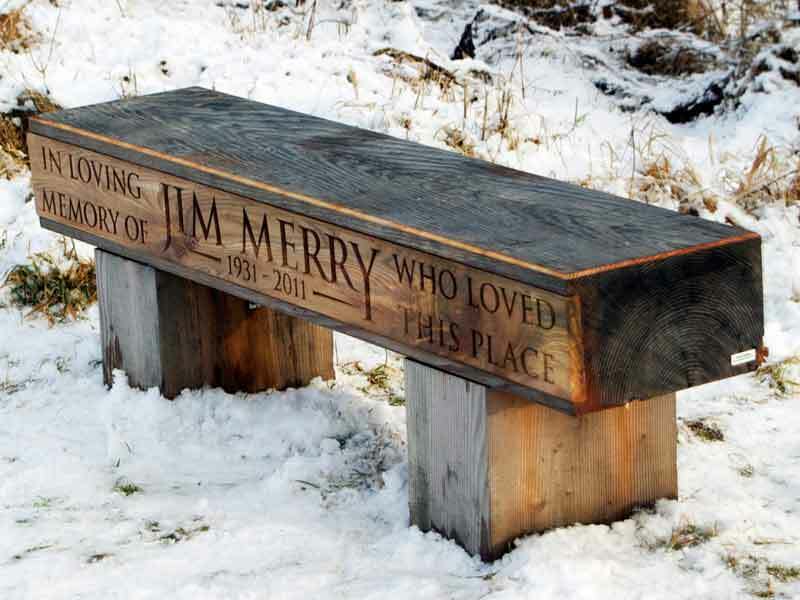 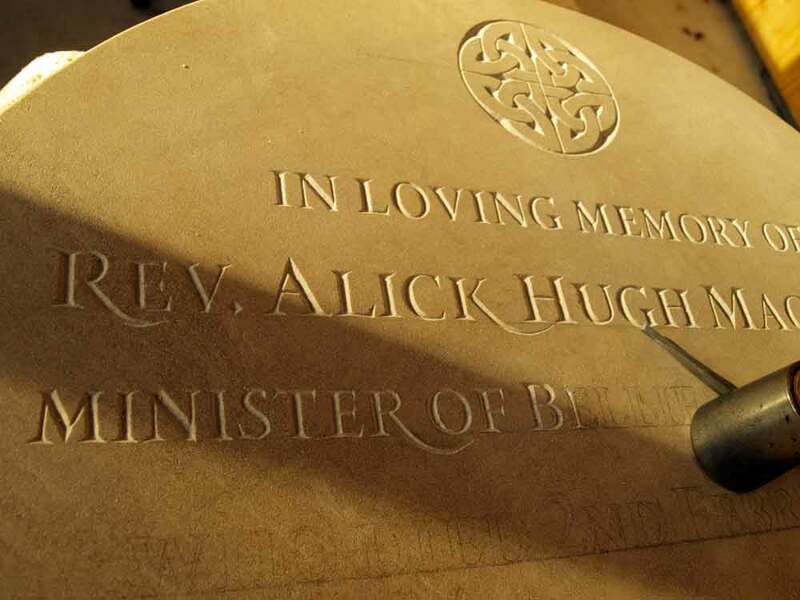 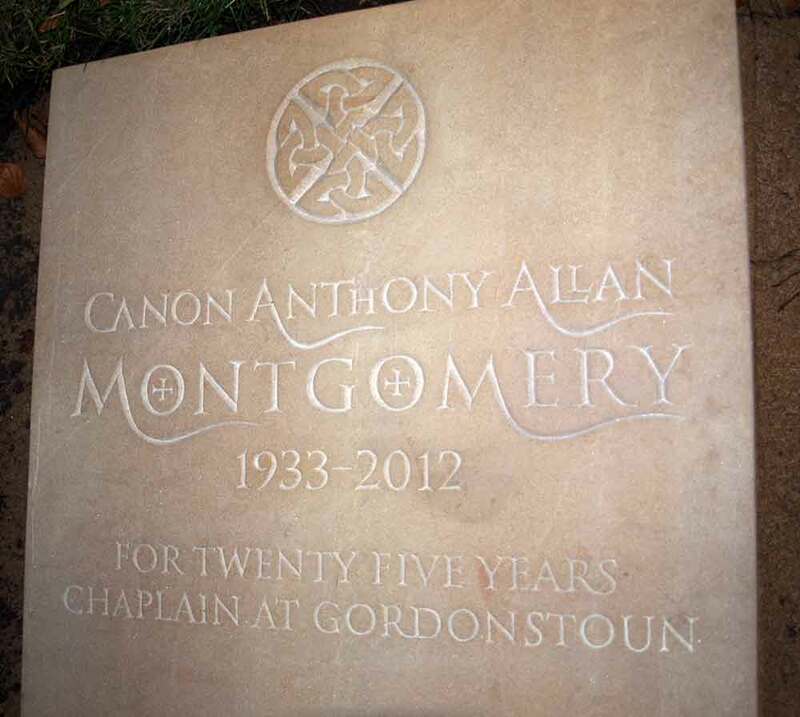 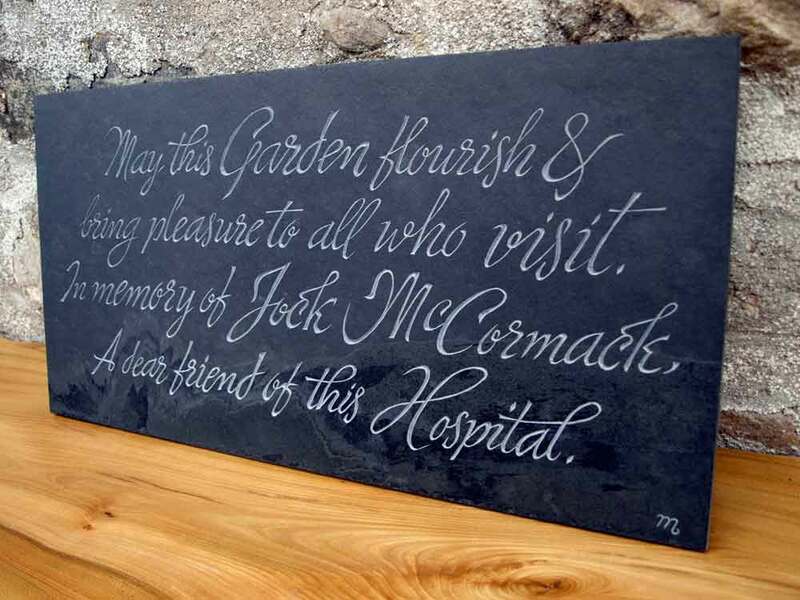 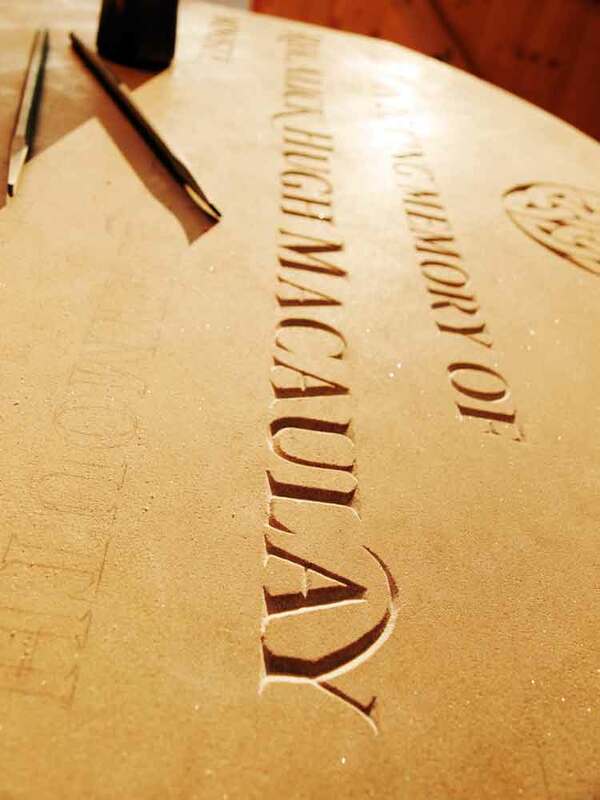 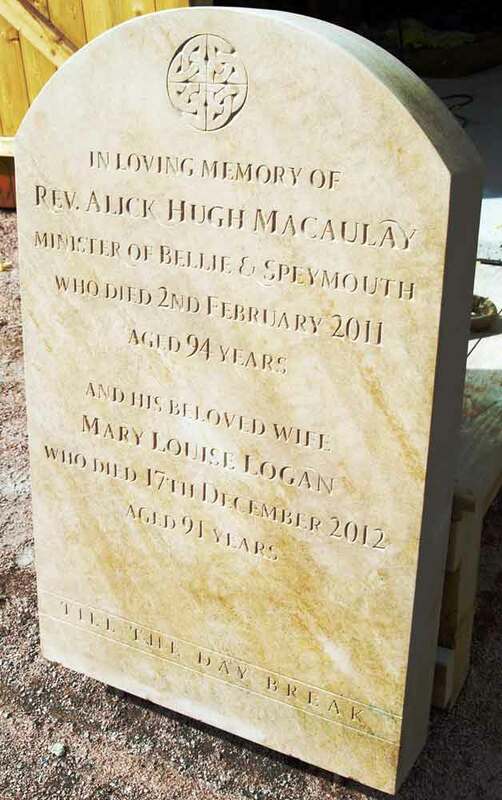 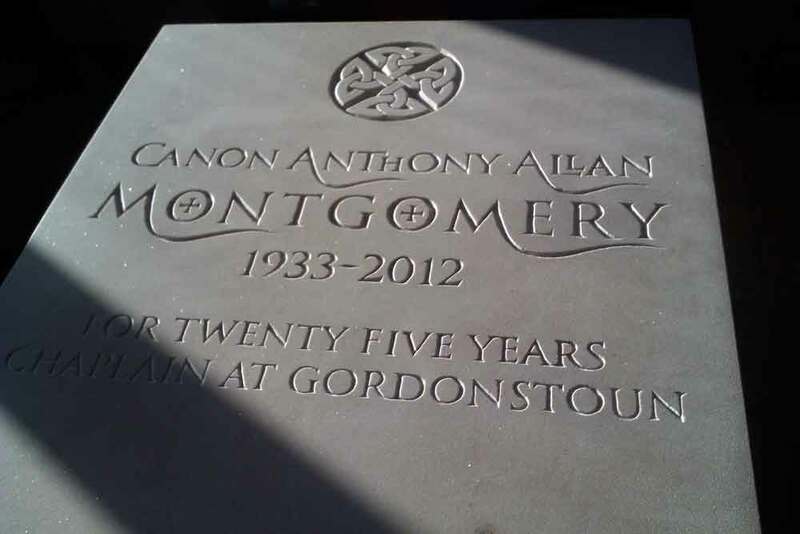 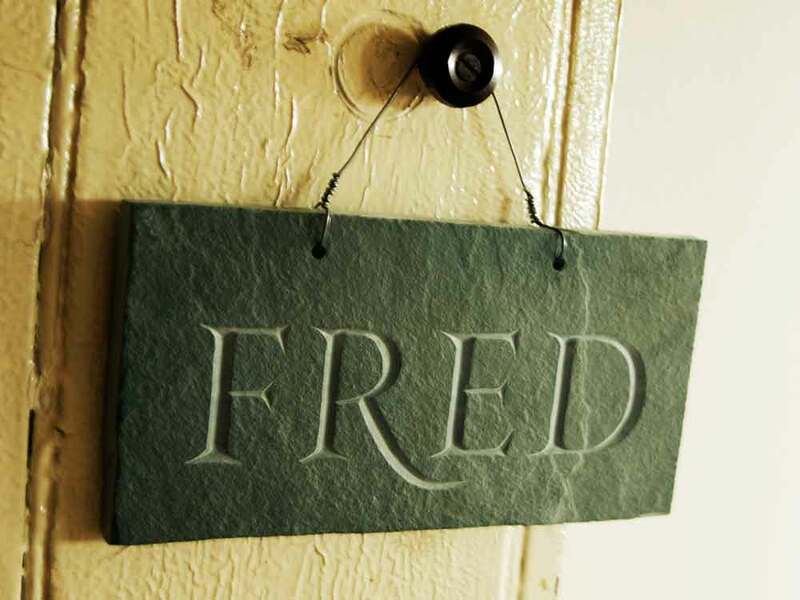 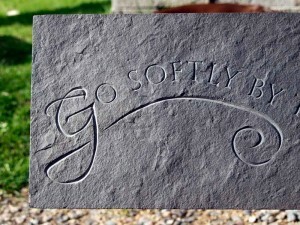 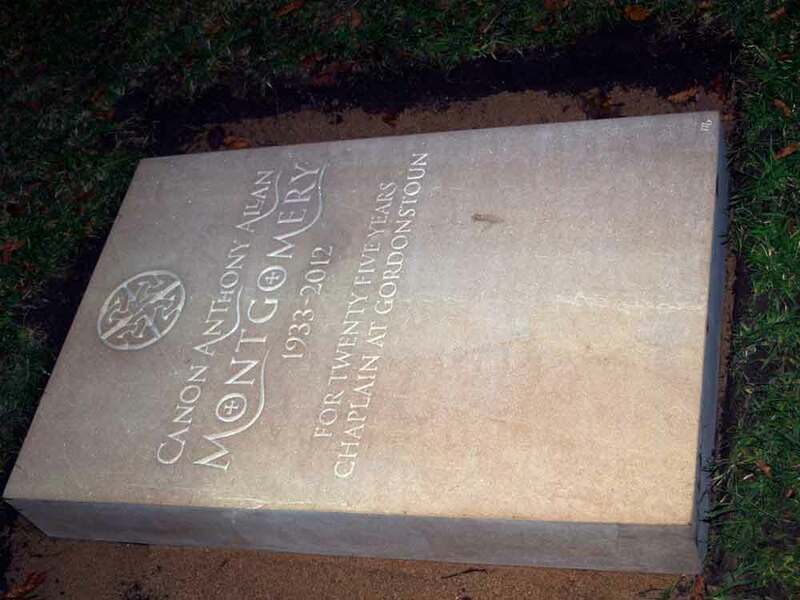 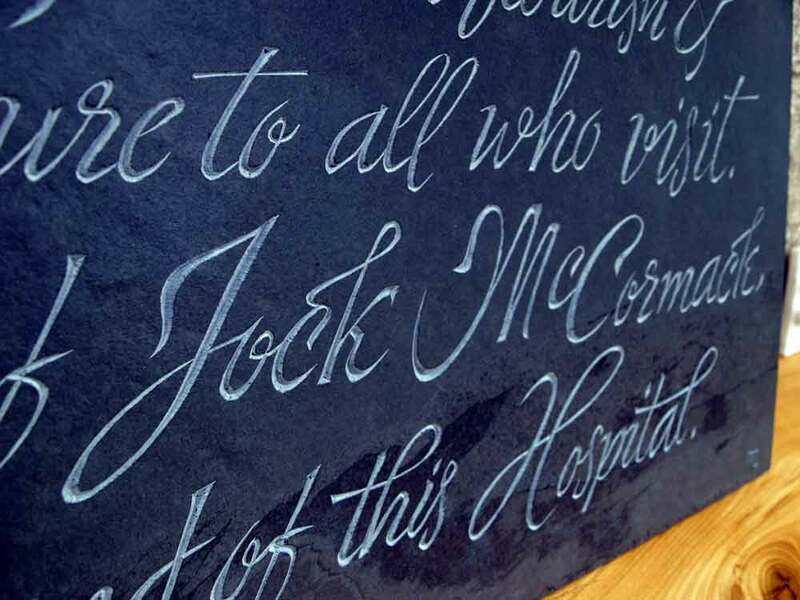 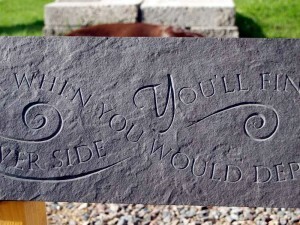 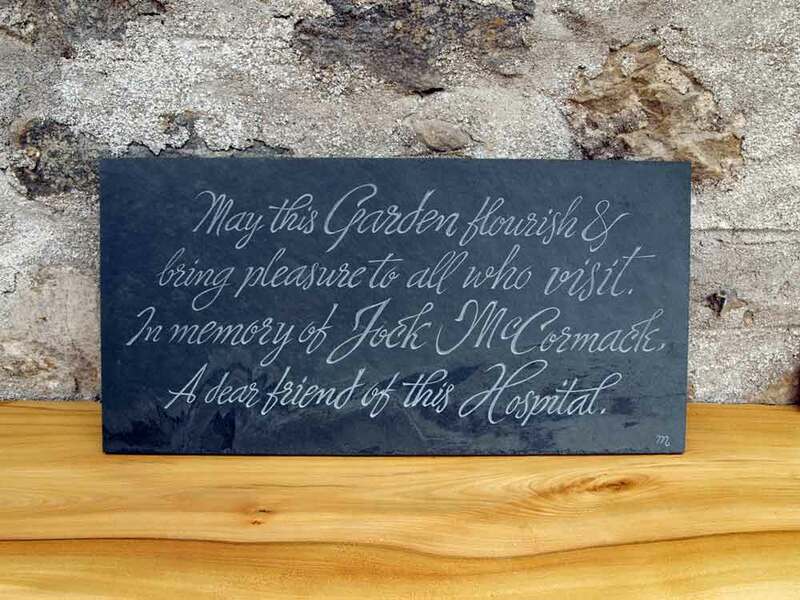 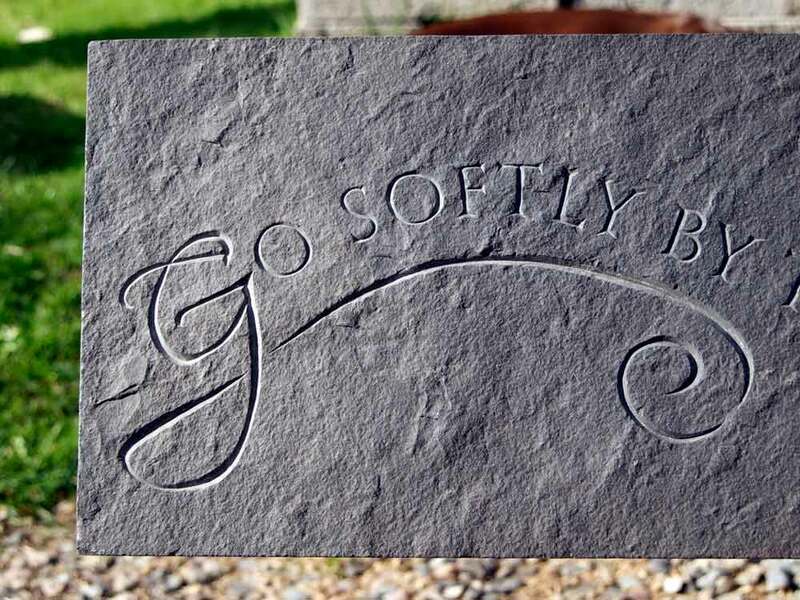 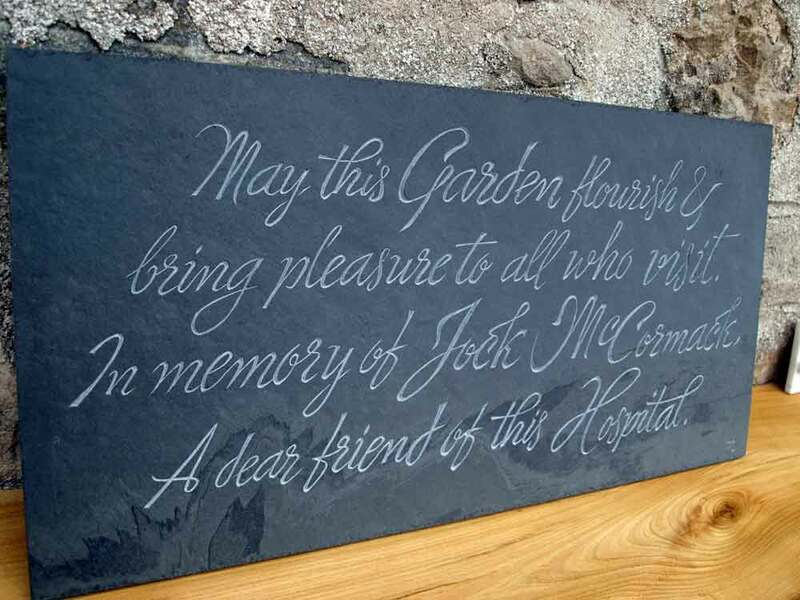 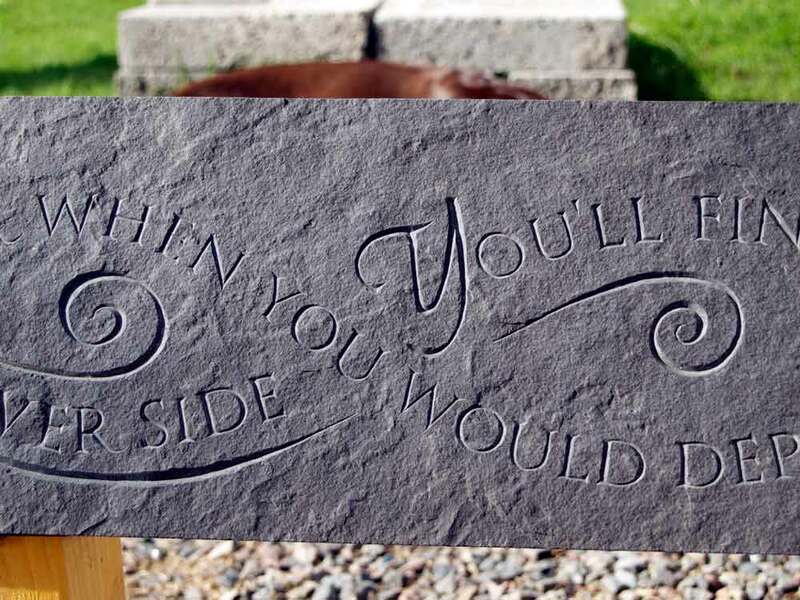 For further information on commissioning a headstone, memorial, house sign or other lettering project in wood, slate or stone – visit my Information page. 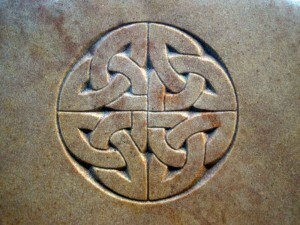 I’ve separated the examples into different galleries by subject. 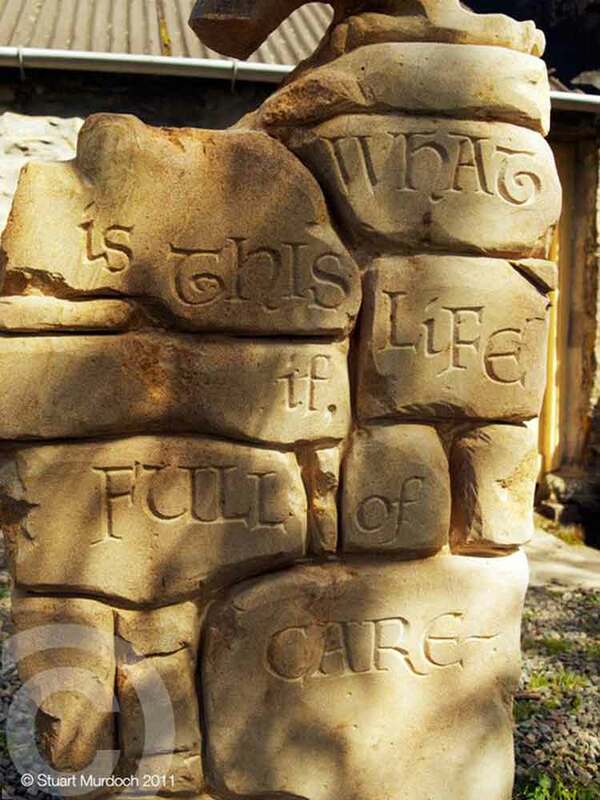 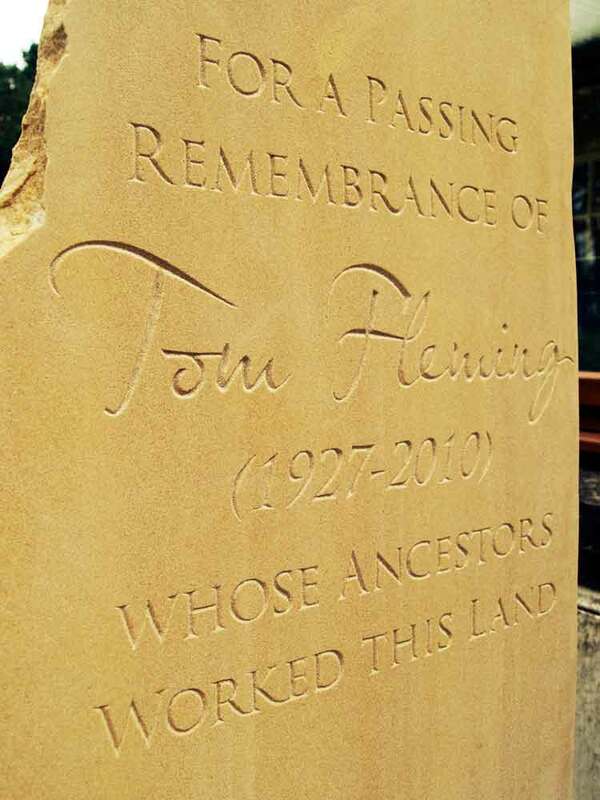 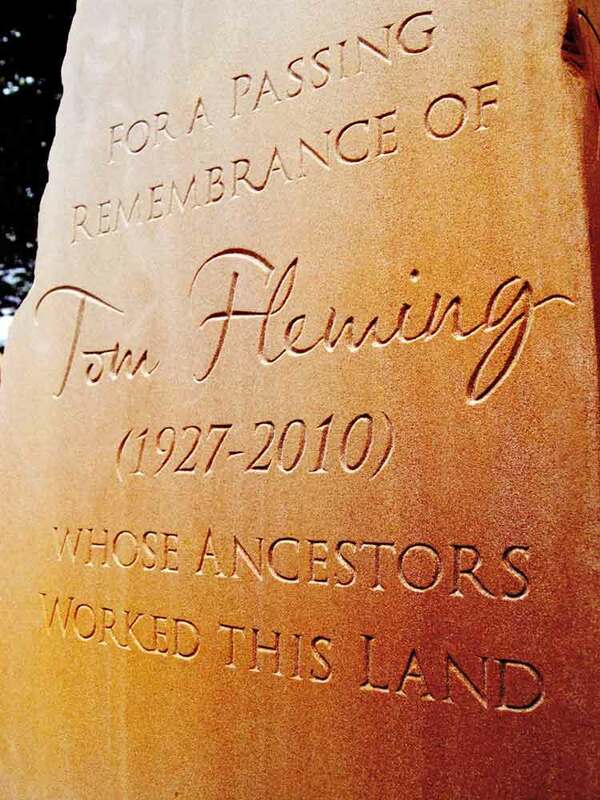 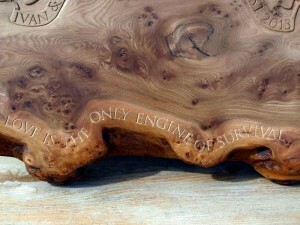 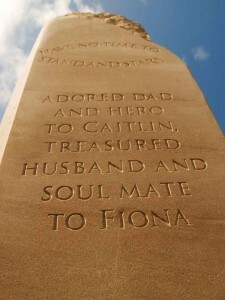 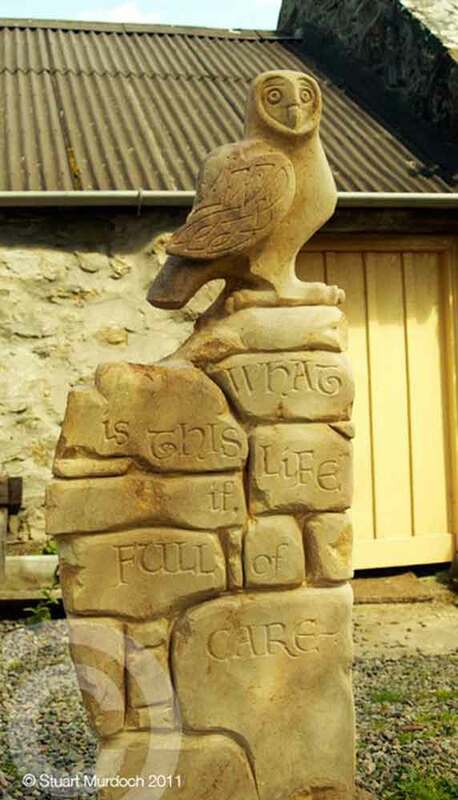 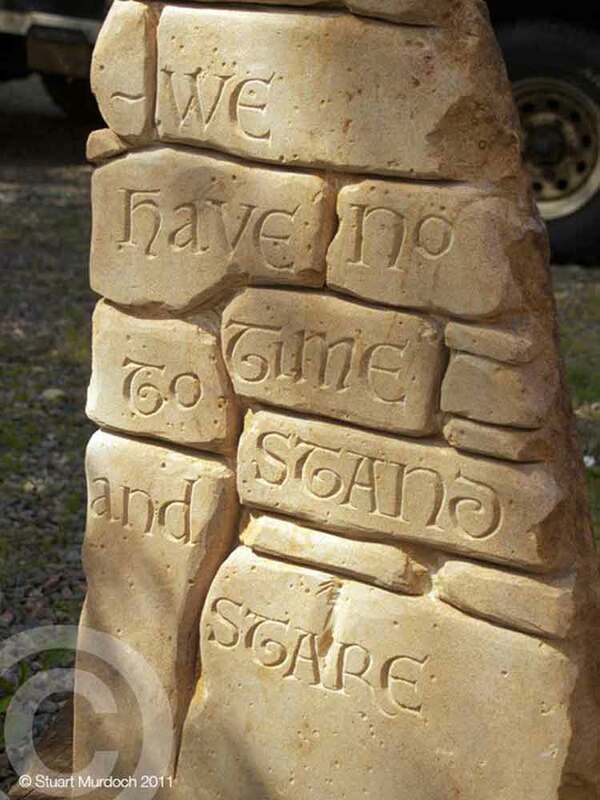 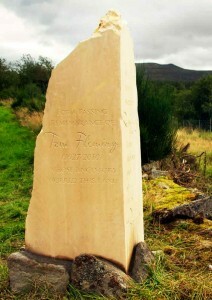 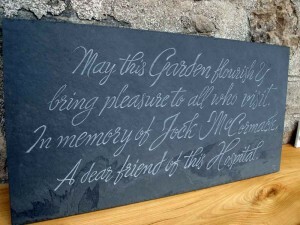 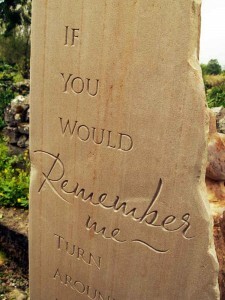 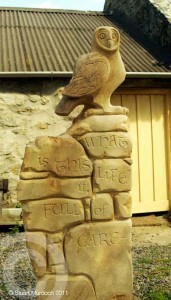 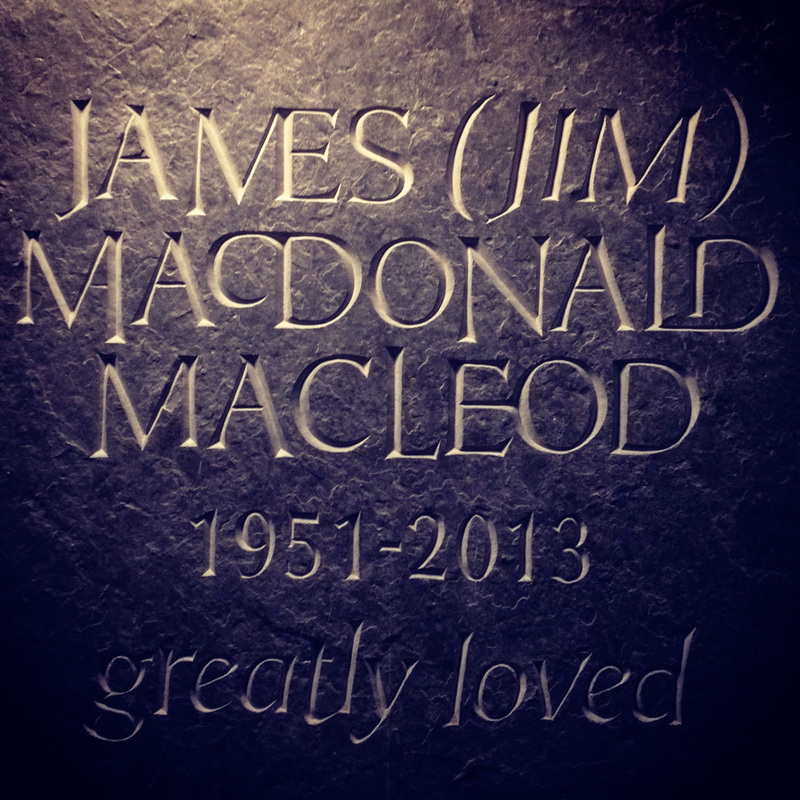 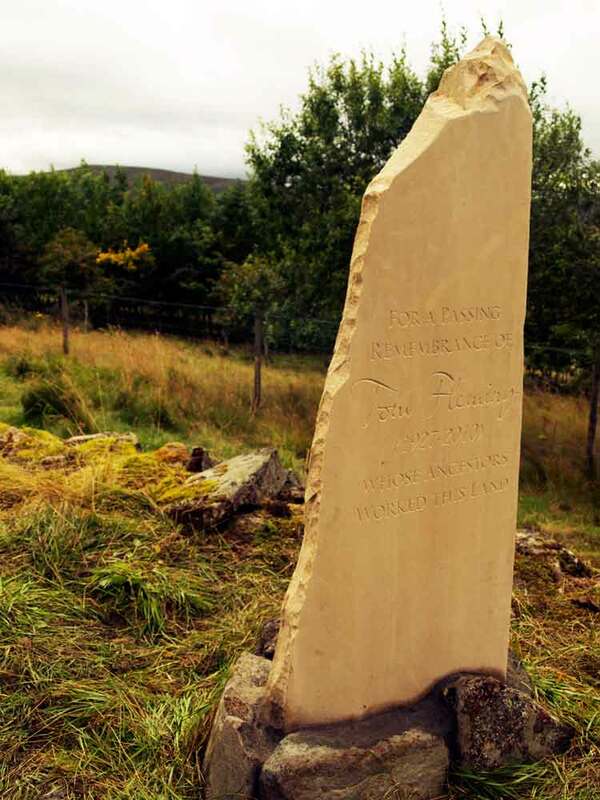 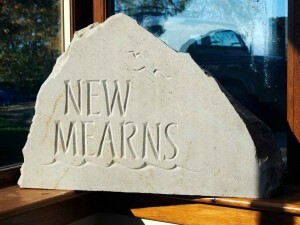 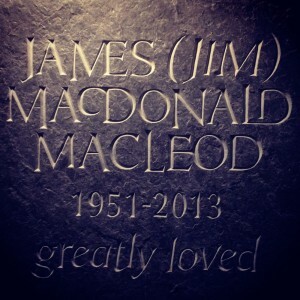 I was asked to carve a monolith memorial from local Clashach sandstone in memory of the late actor, Tom Fleming. 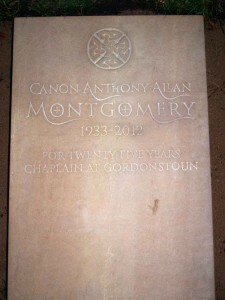 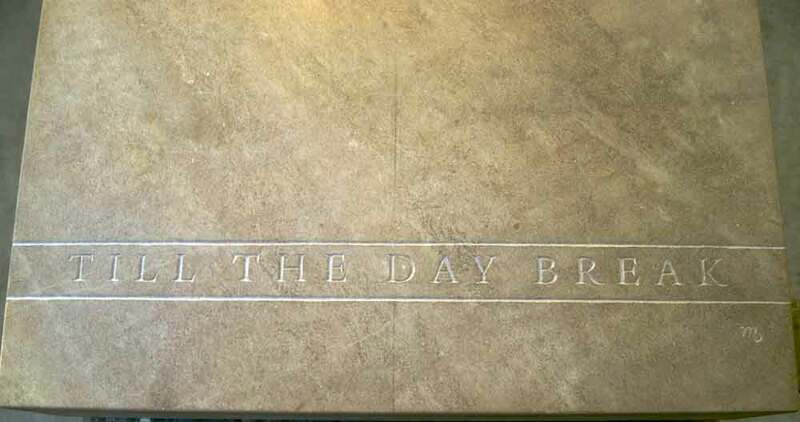 Known as the “voice of the BBC” he was best known for his commentaries of state affairs such as royal weddings, the Cenotaph, the Edinburgh Military Tattoo and the opening of Scottish Parliament. 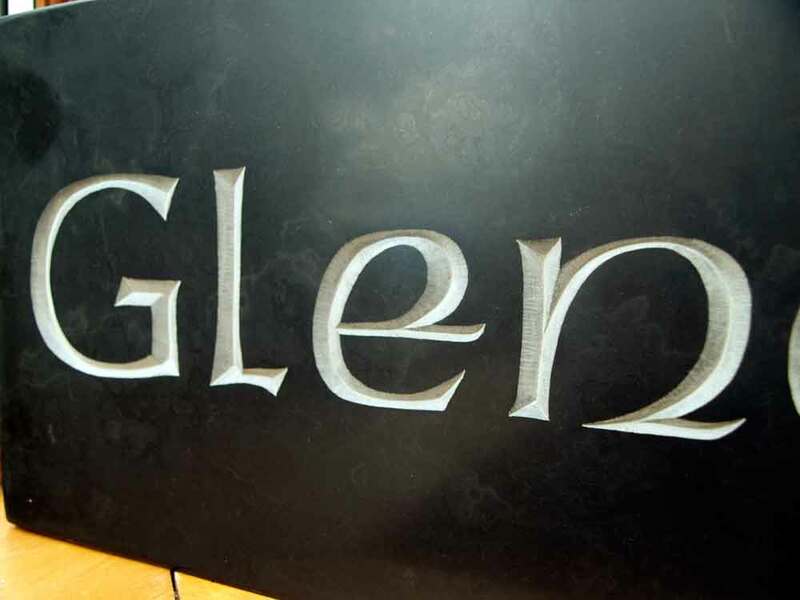 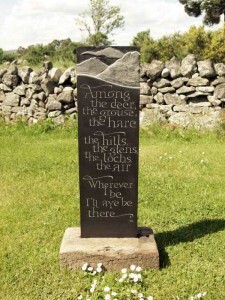 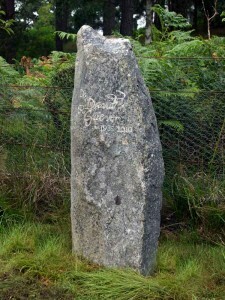 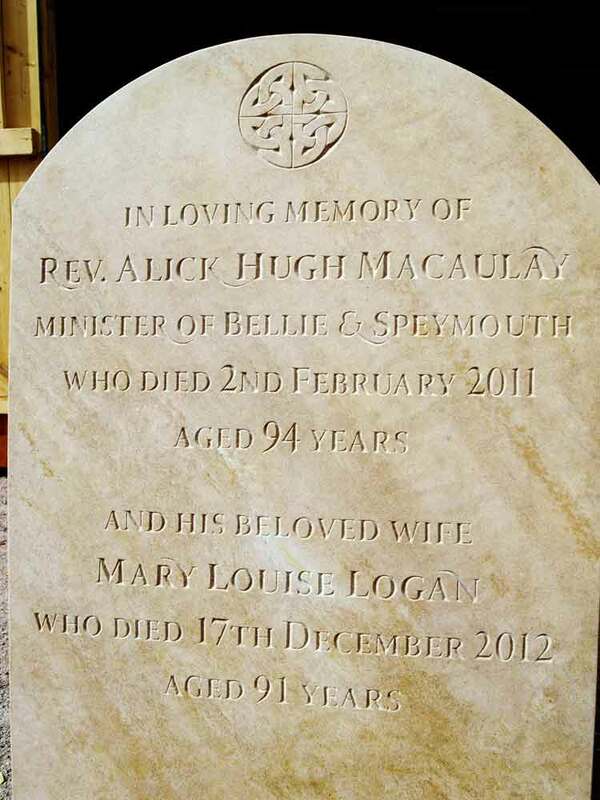 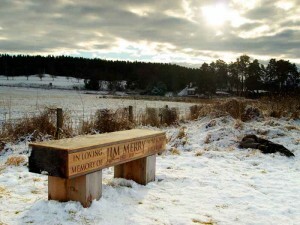 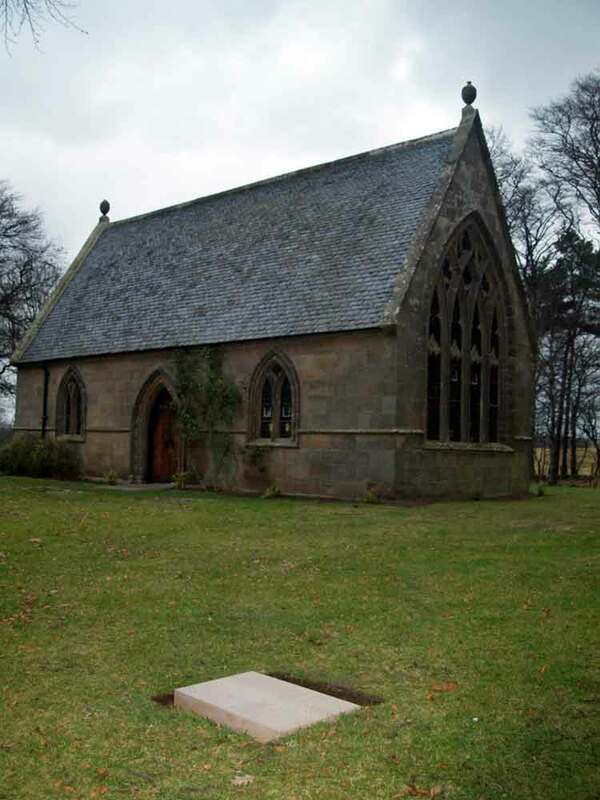 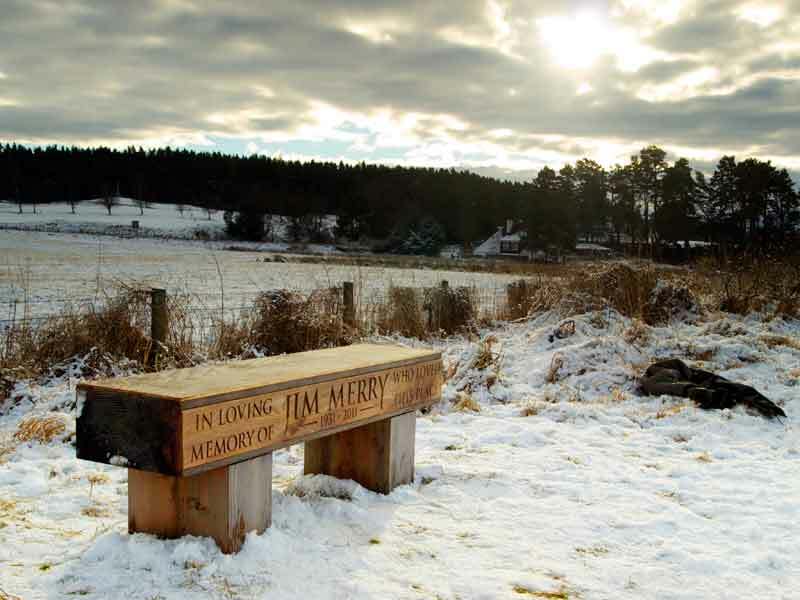 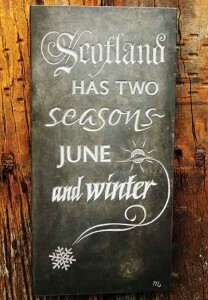 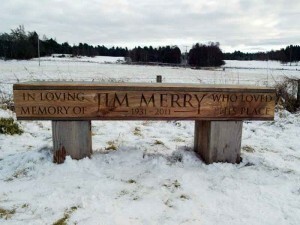 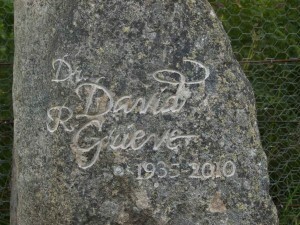 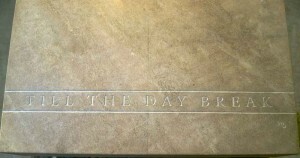 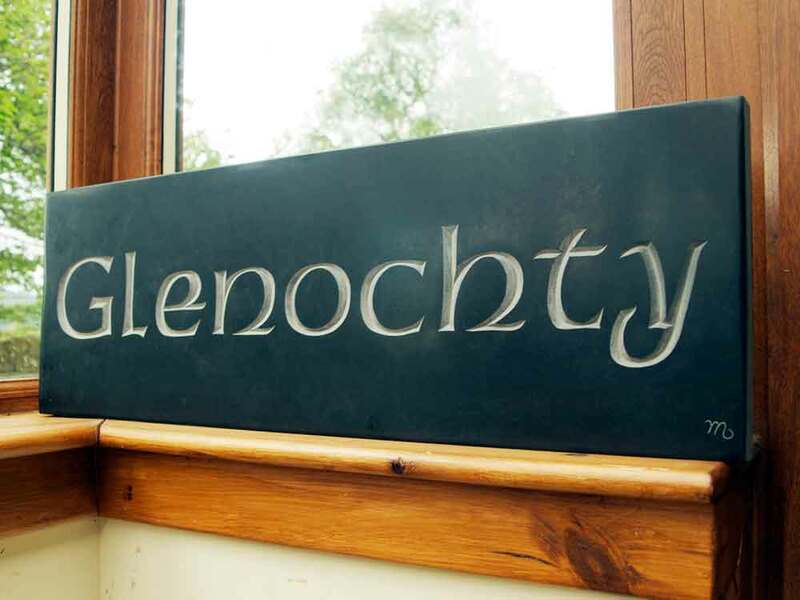 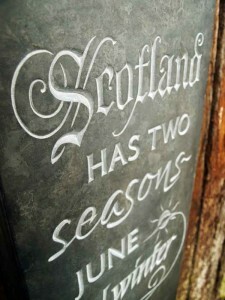 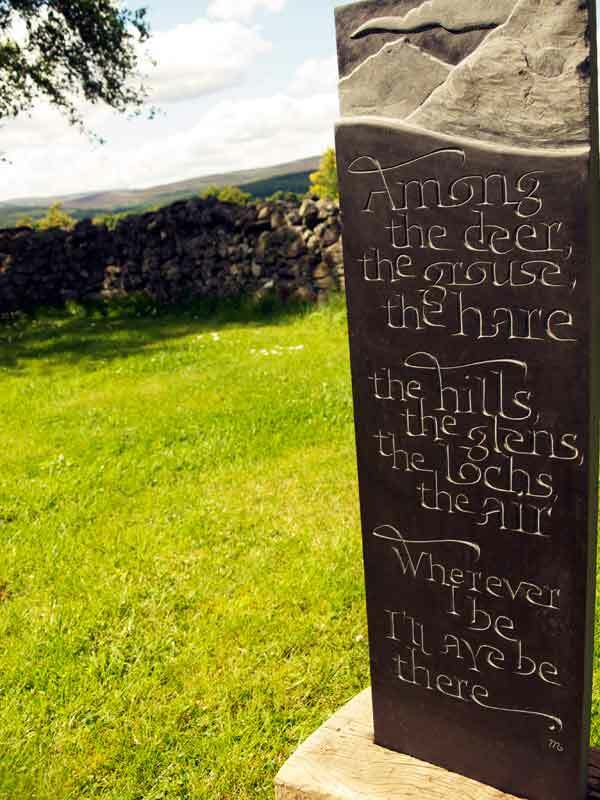 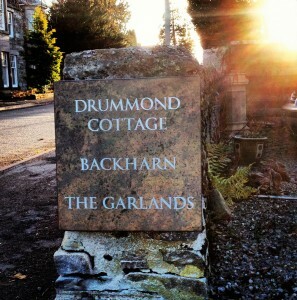 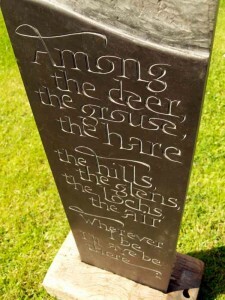 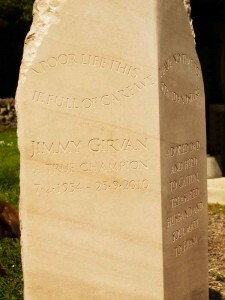 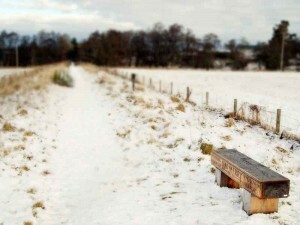 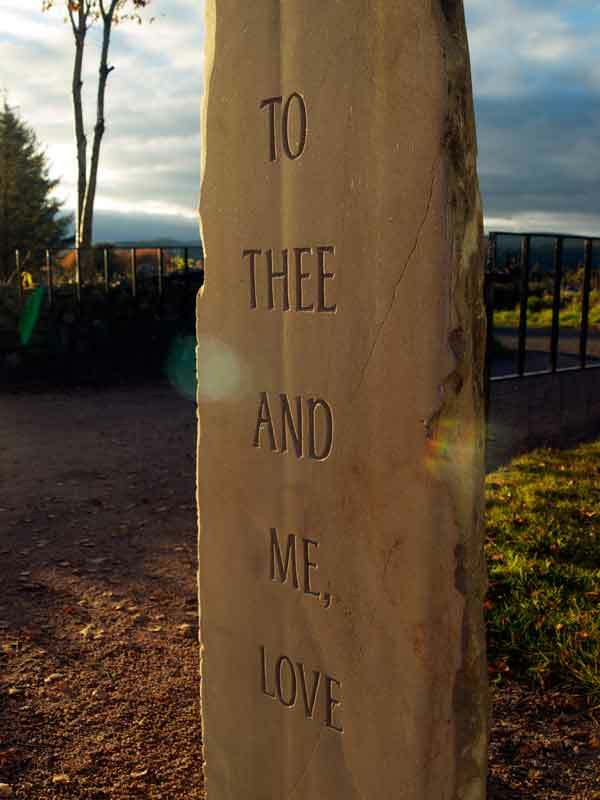 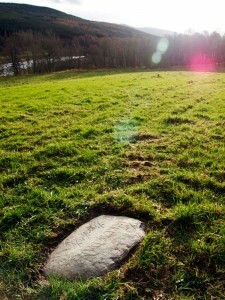 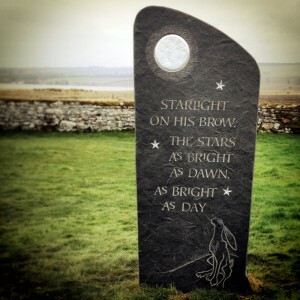 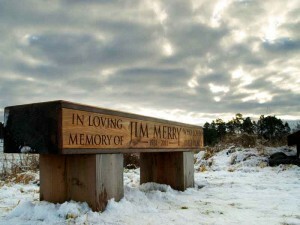 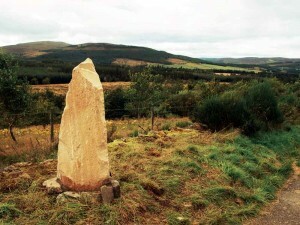 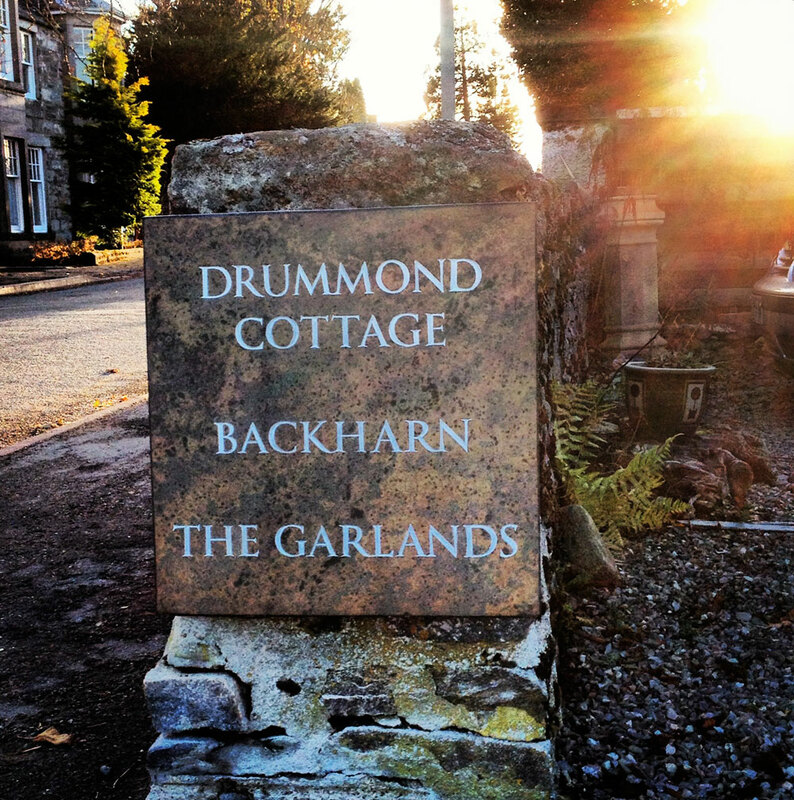 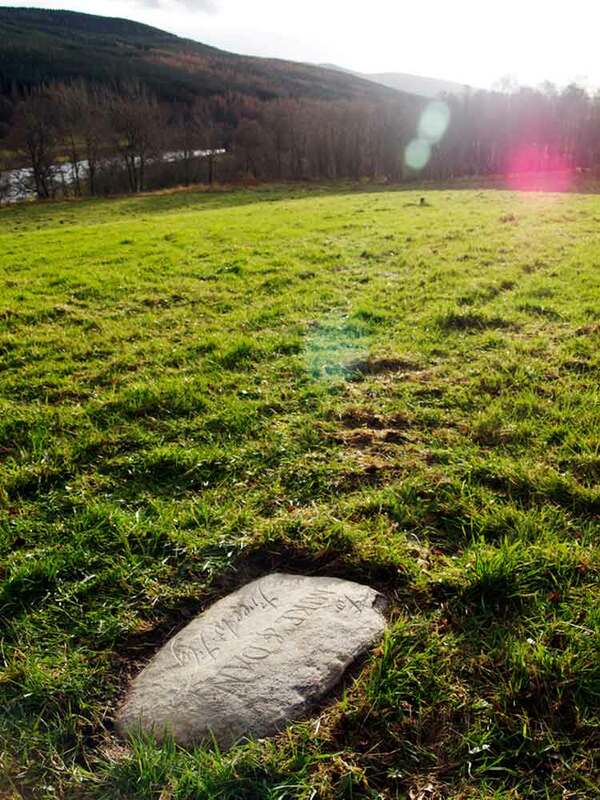 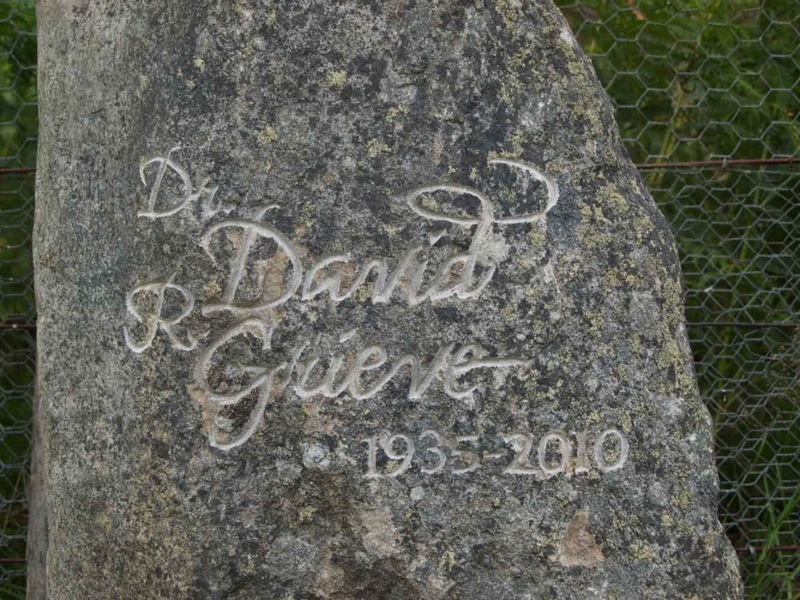 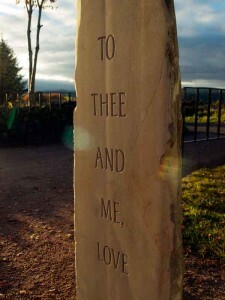 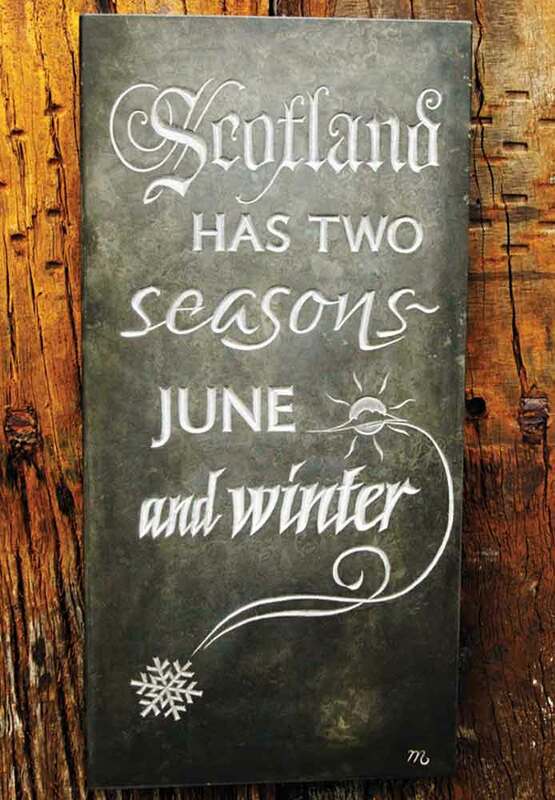 The stone is situated outside his former holiday home on Speyside where his family originated from. 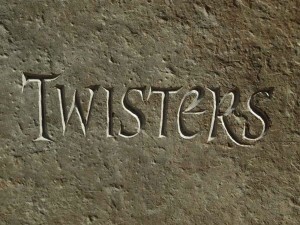 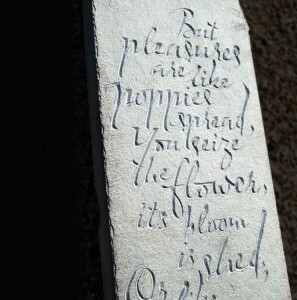 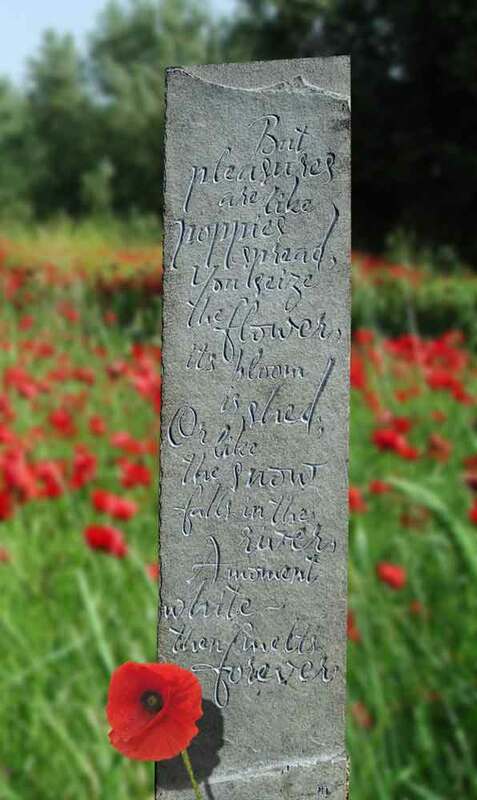 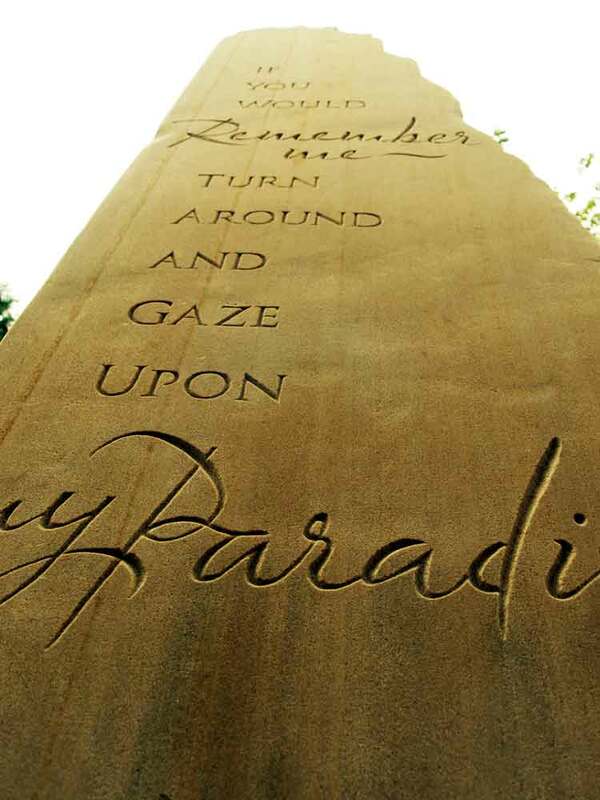 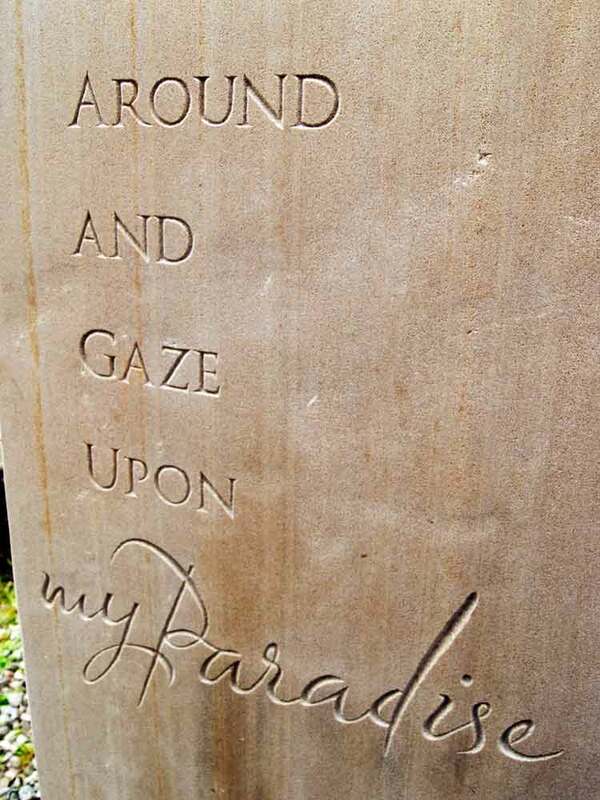 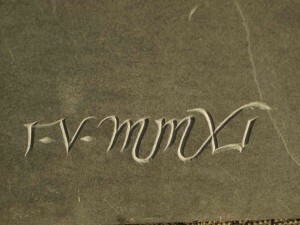 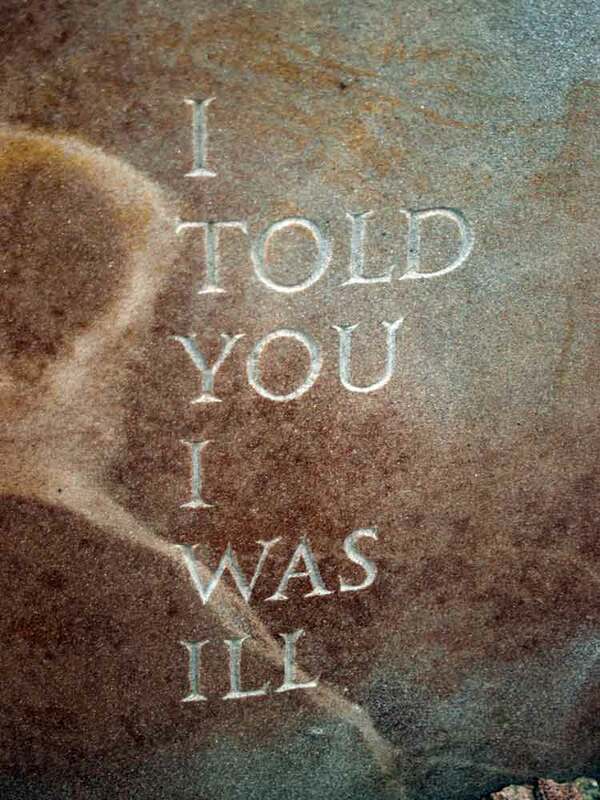 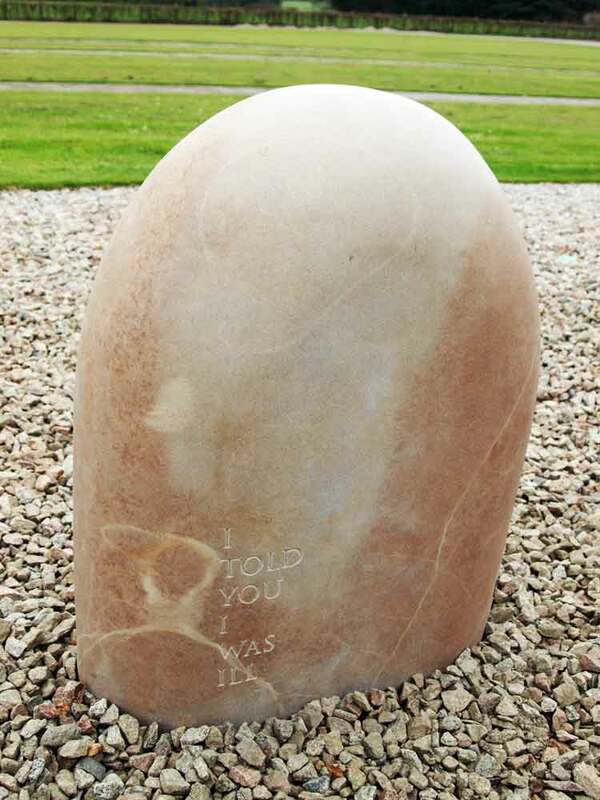 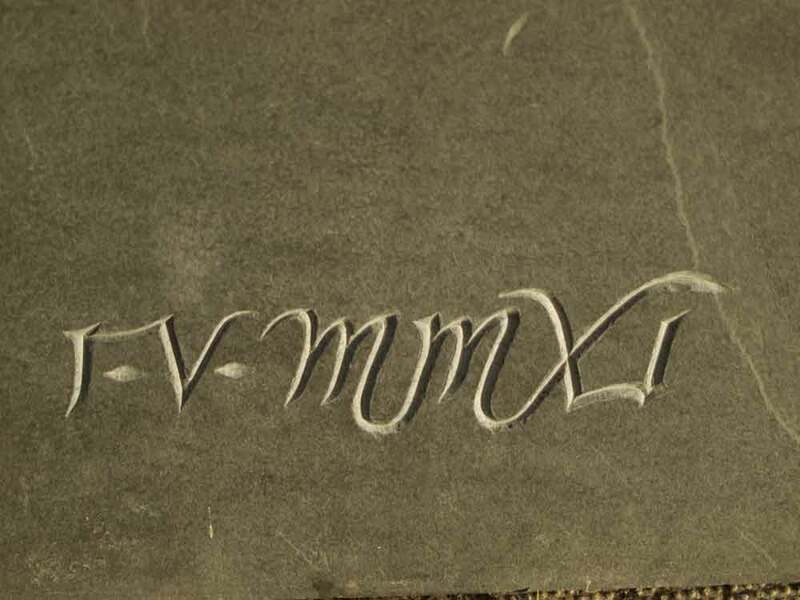 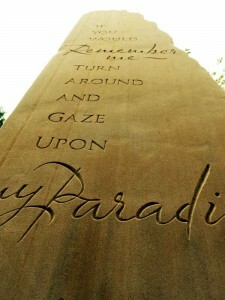 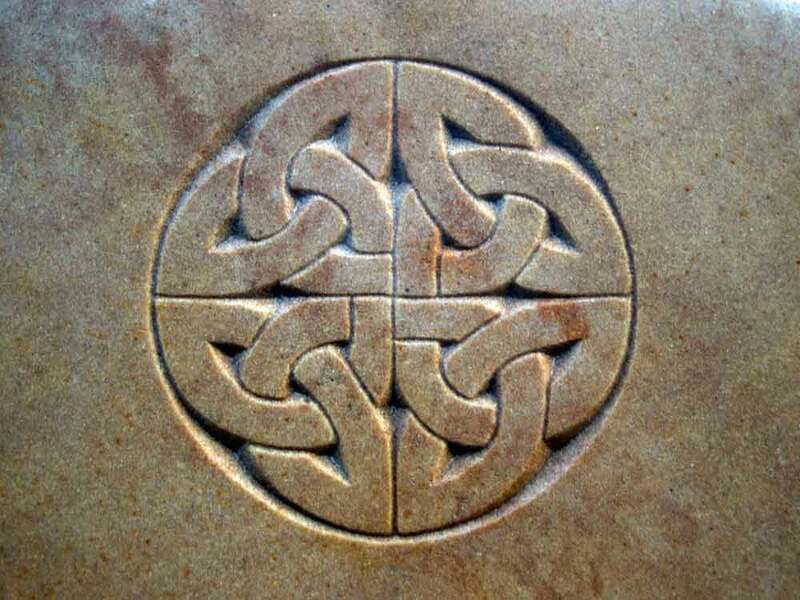 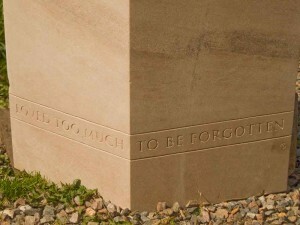 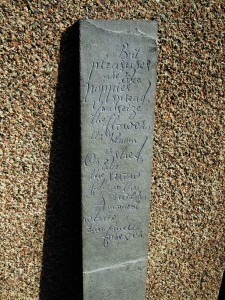 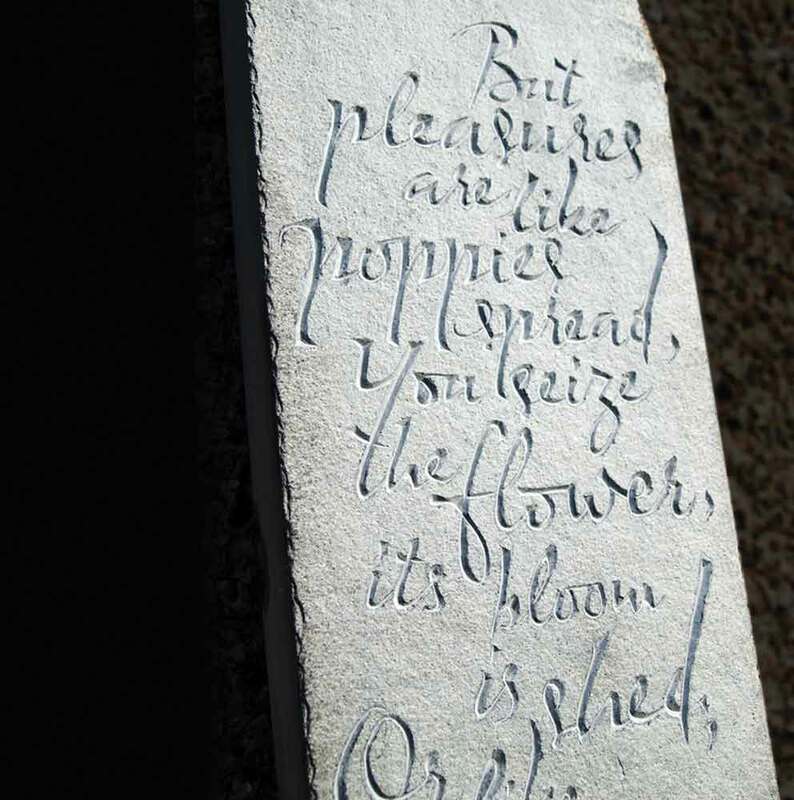 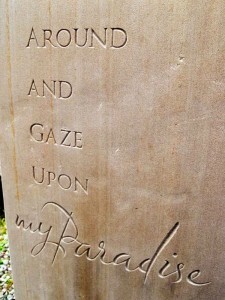 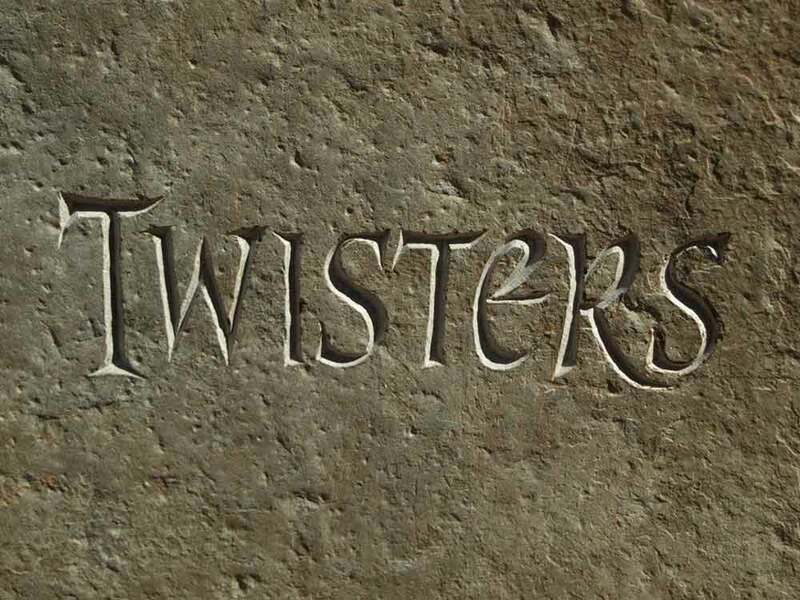 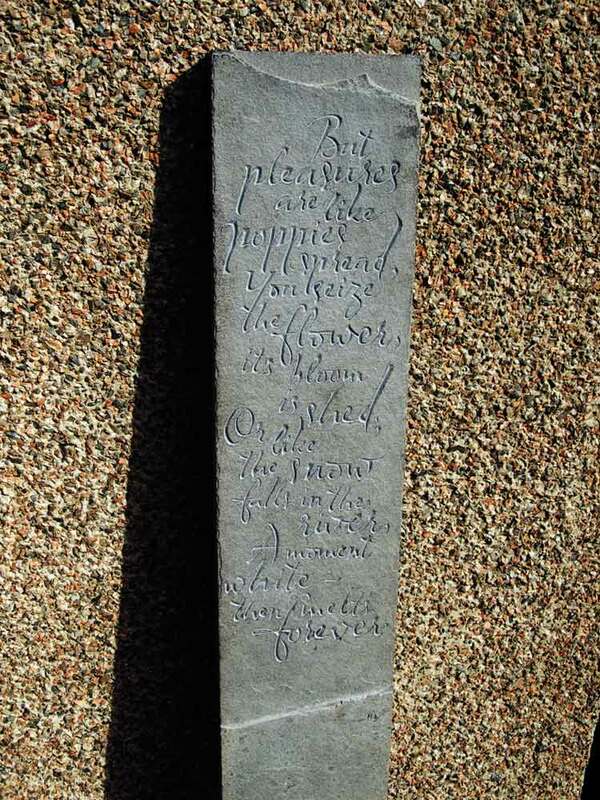 On the reverse of the three sided memorial are the lines “if you would remember me – turn around and gaze upon my paradise” which Tom wrote himself and expressly requested would appear on the stone. 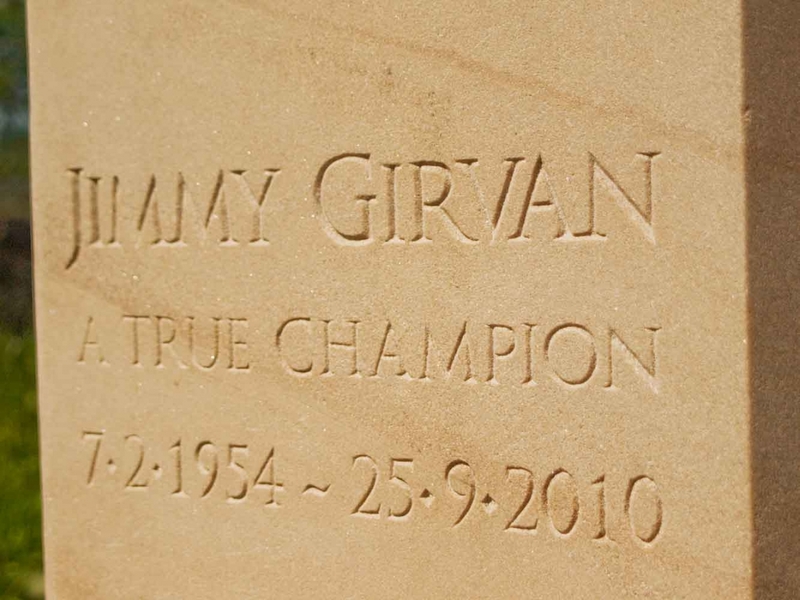 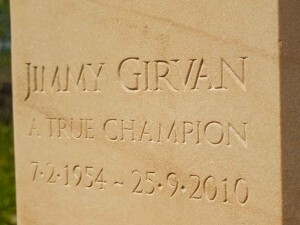 Jimmy Girvan was a Scottish Rally Driving Champion who was tragically killed while taking part in a rally in the forests of Aberfeldy to the memory of his late friend, Colin McRae. 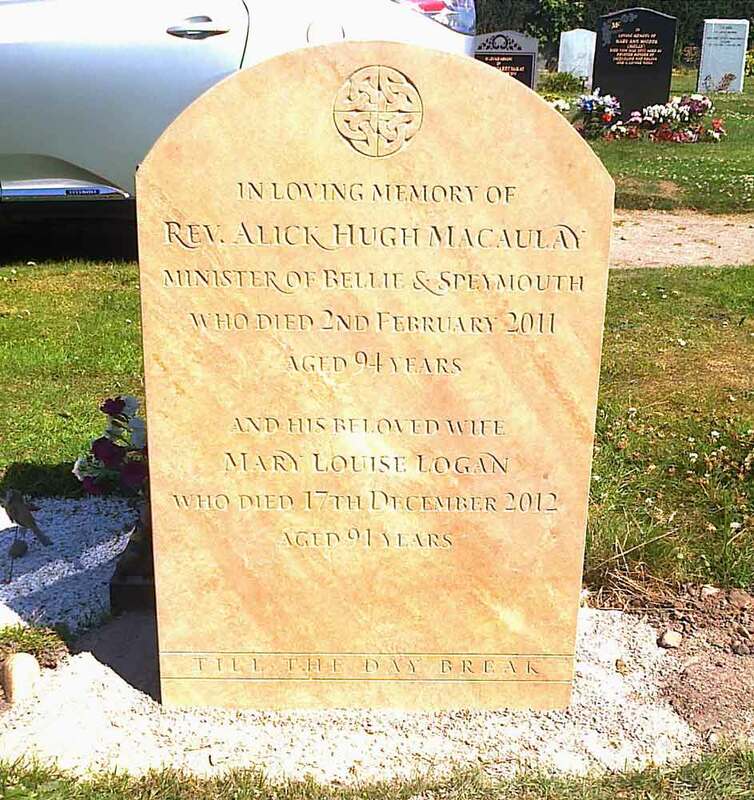 His family approached me to carve his headstone from Clashach Sandstone which now stands in the Tore graveyard on the Black Isle. 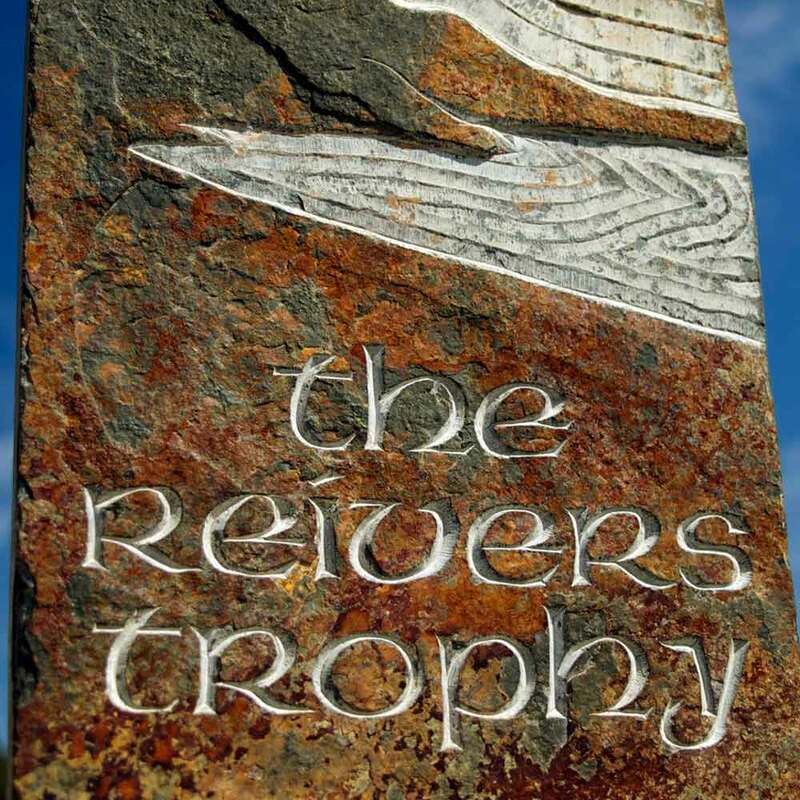 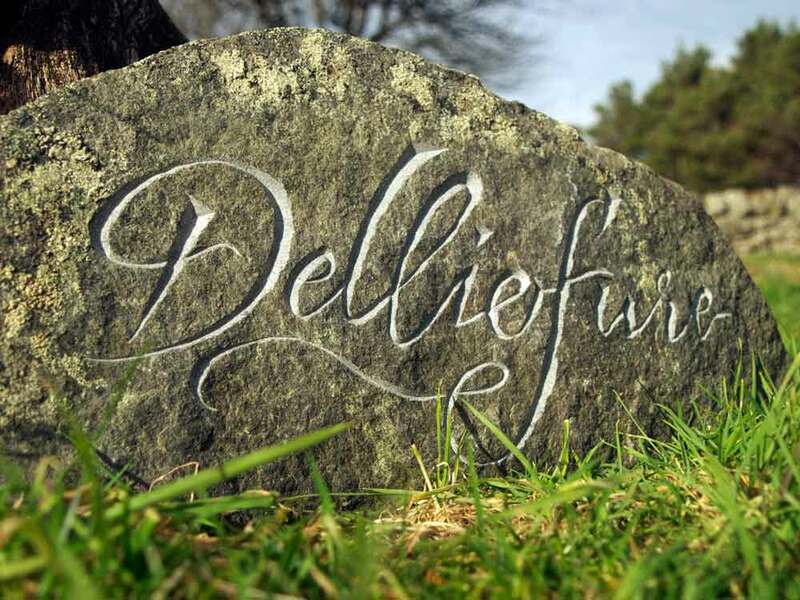 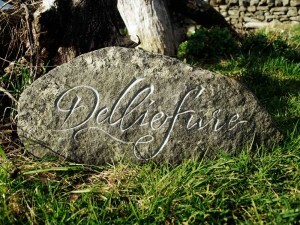 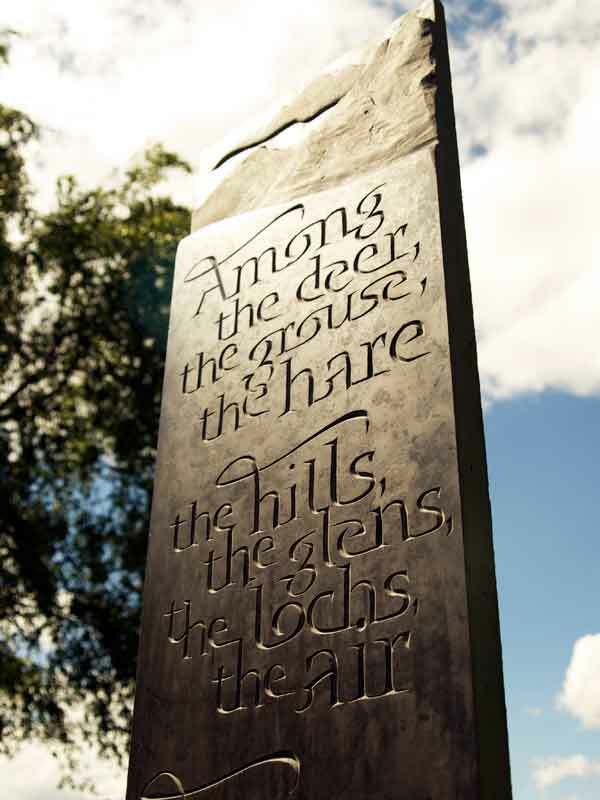 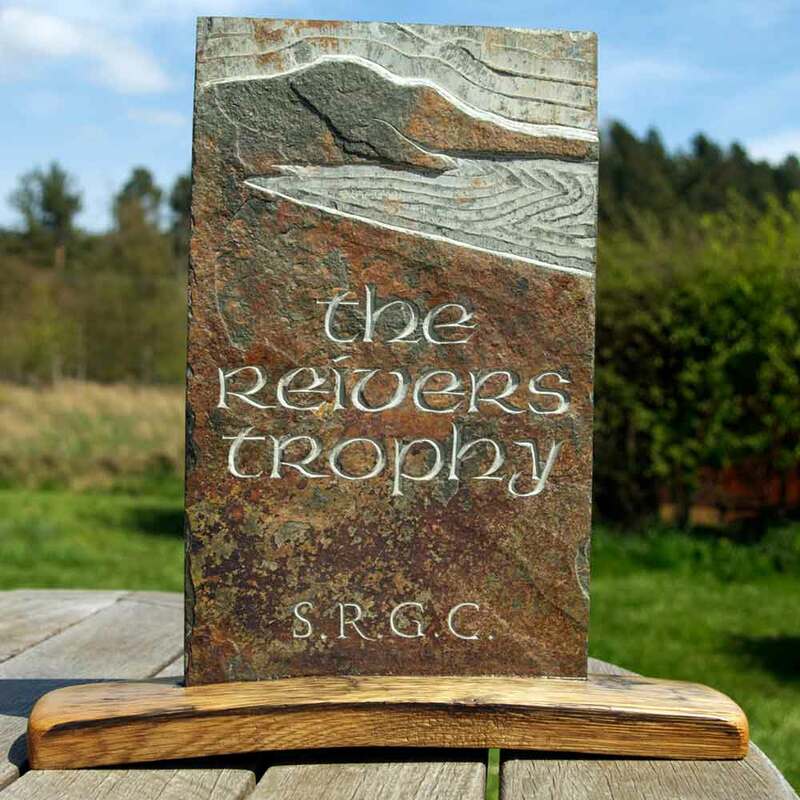 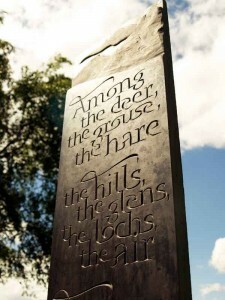 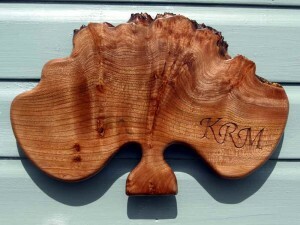 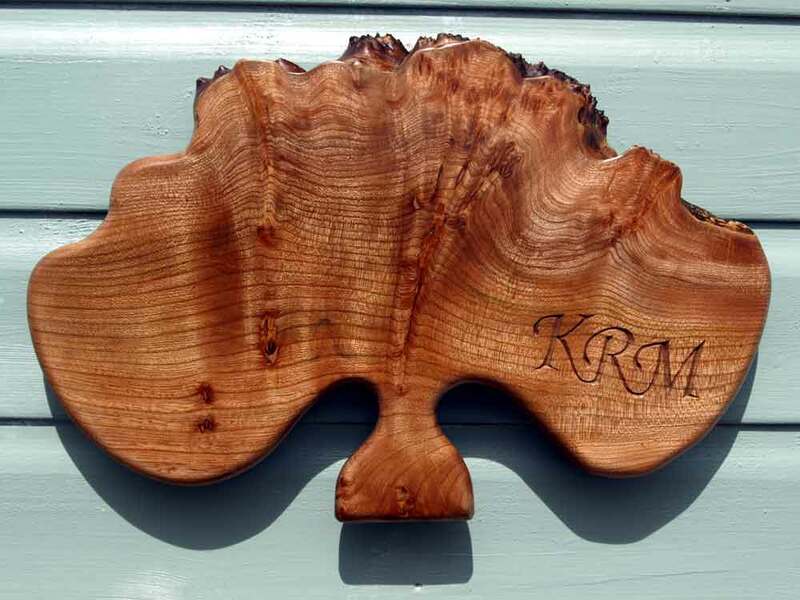 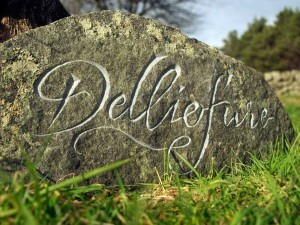 I have been appointed the official sculptor by Native Woodlands for the carving of memorial stones for their Natural Burial Grounds at Delliefure in Speyside and Cothiemuir Hill in Aberdeenshire. 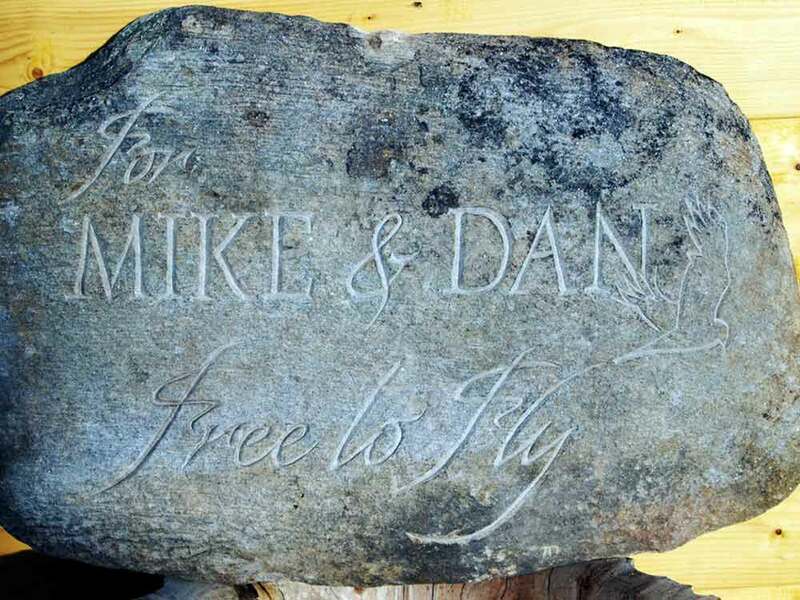 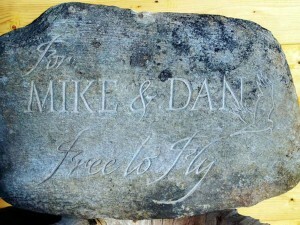 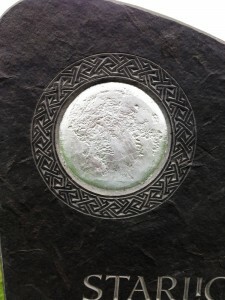 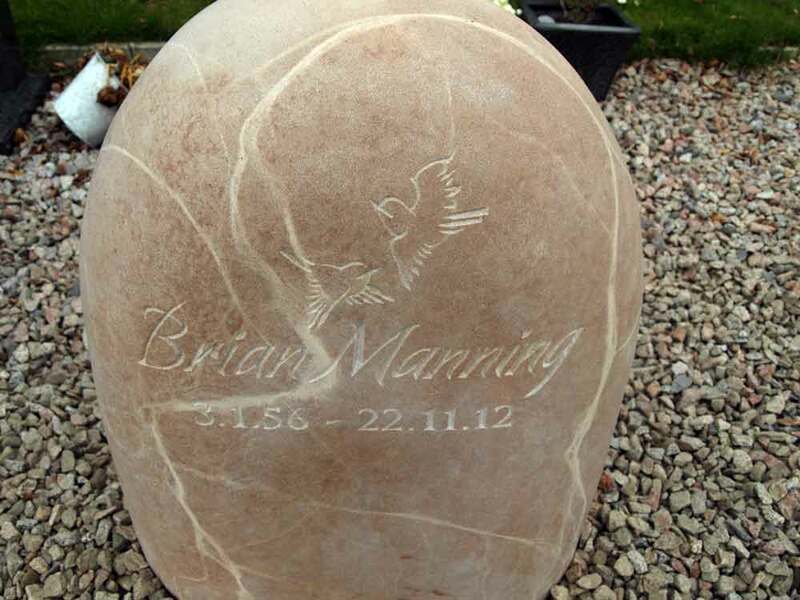 The memorial stones are generally about 12″ (30cm) square and are hand-carved onto locally found, natural stones. For more information about their natural burial grounds across the UK, visit their website here. 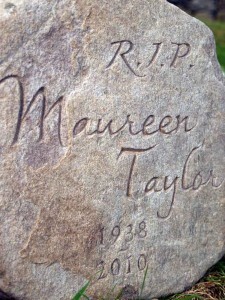 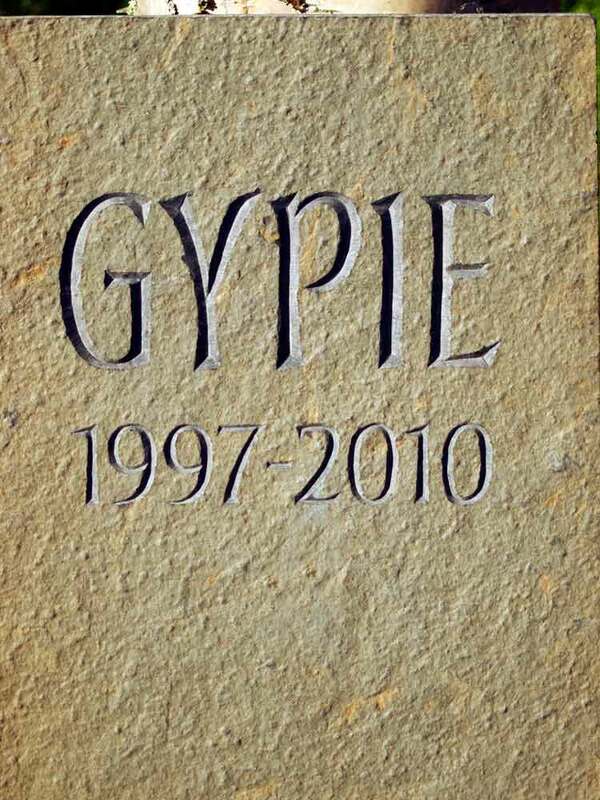 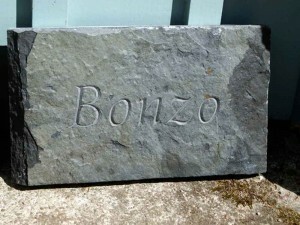 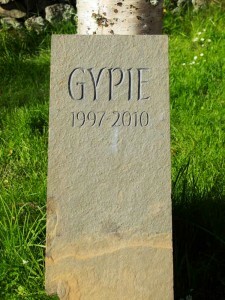 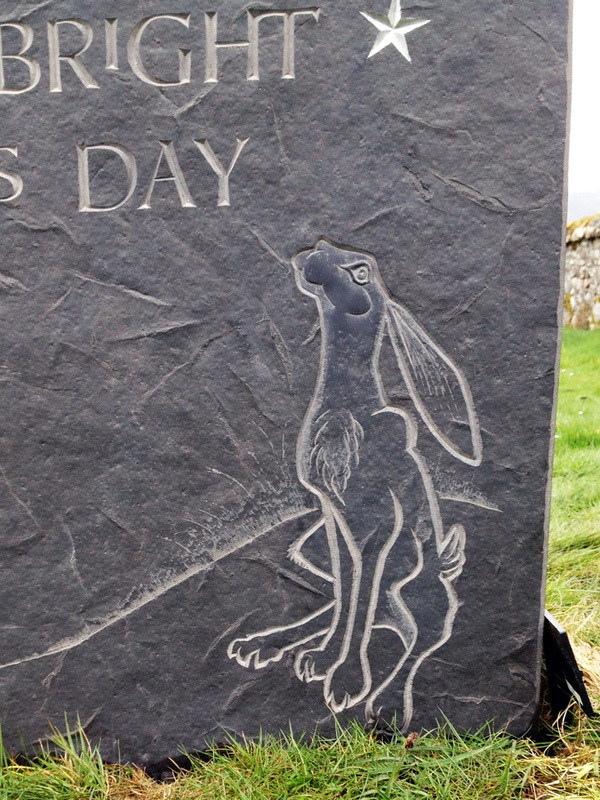 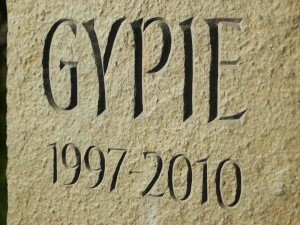 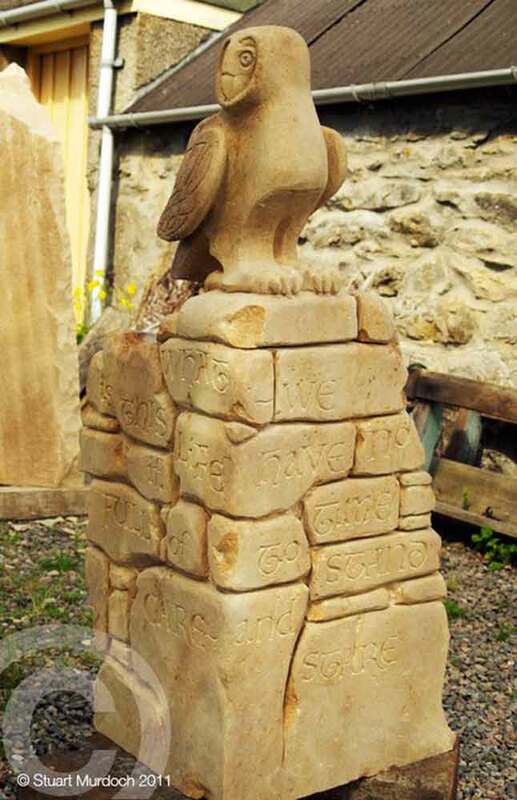 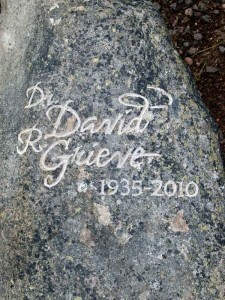 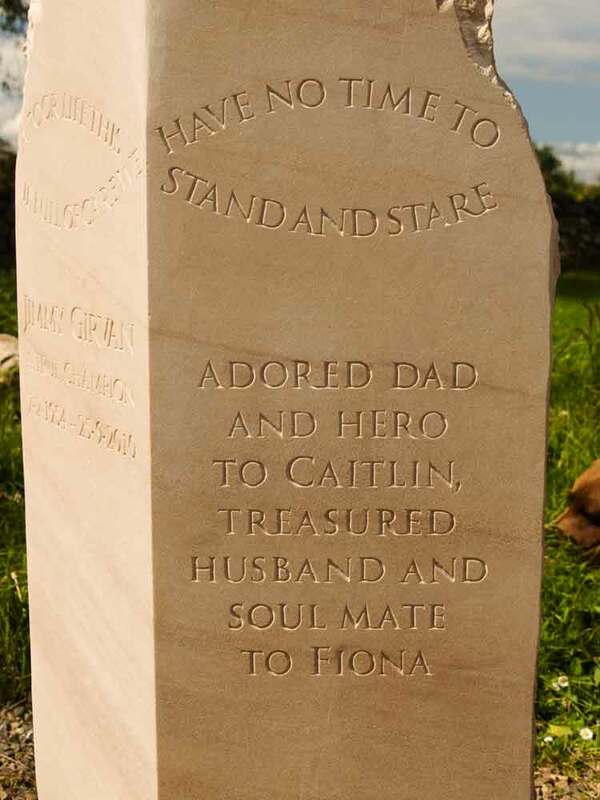 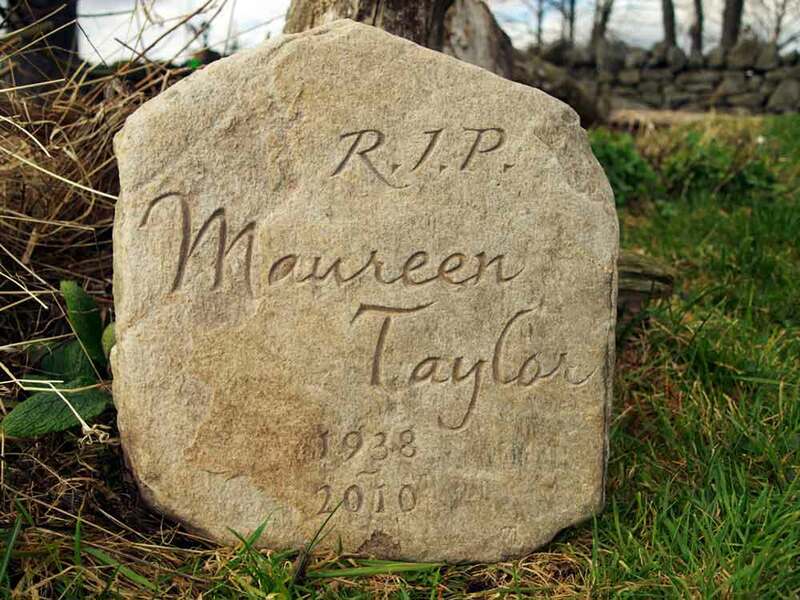 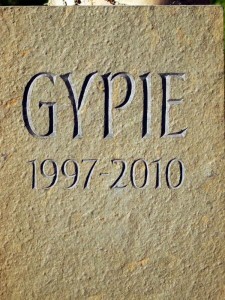 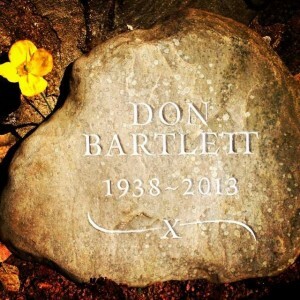 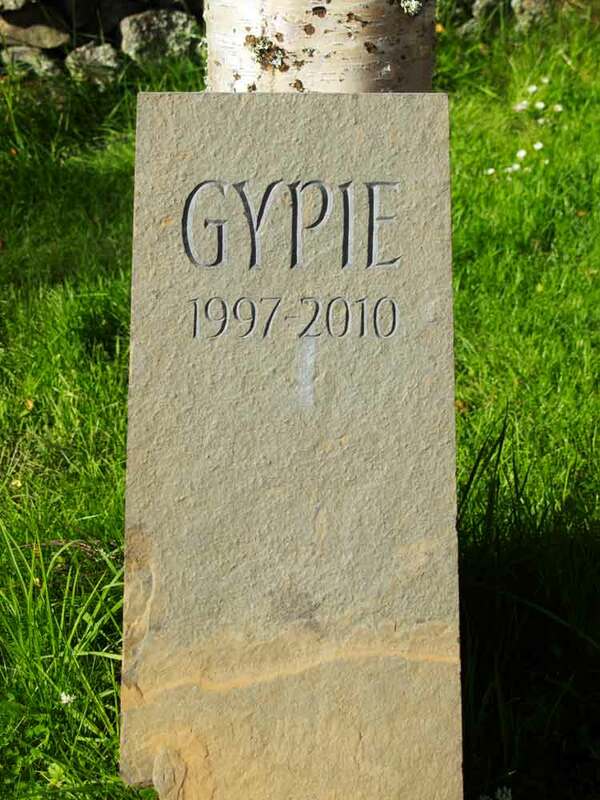 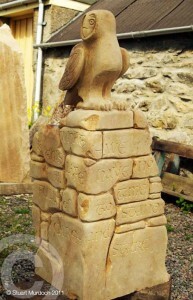 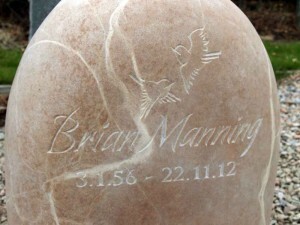 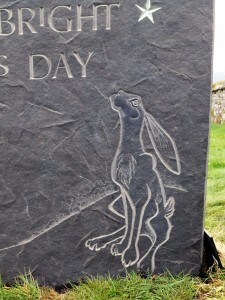 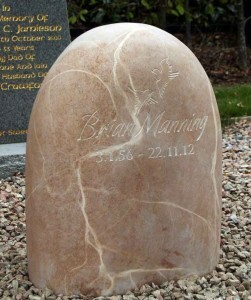 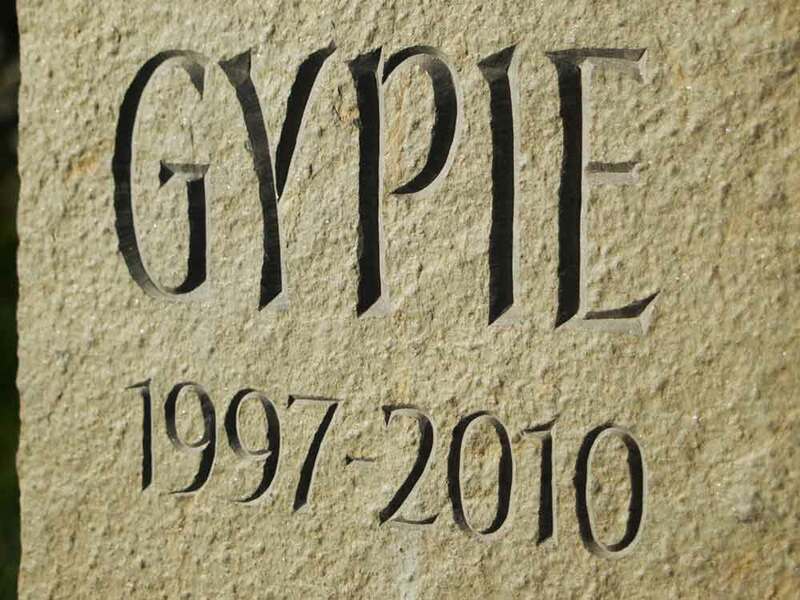 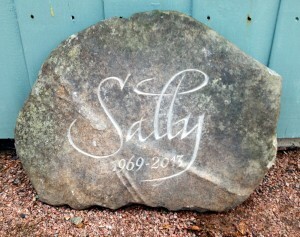 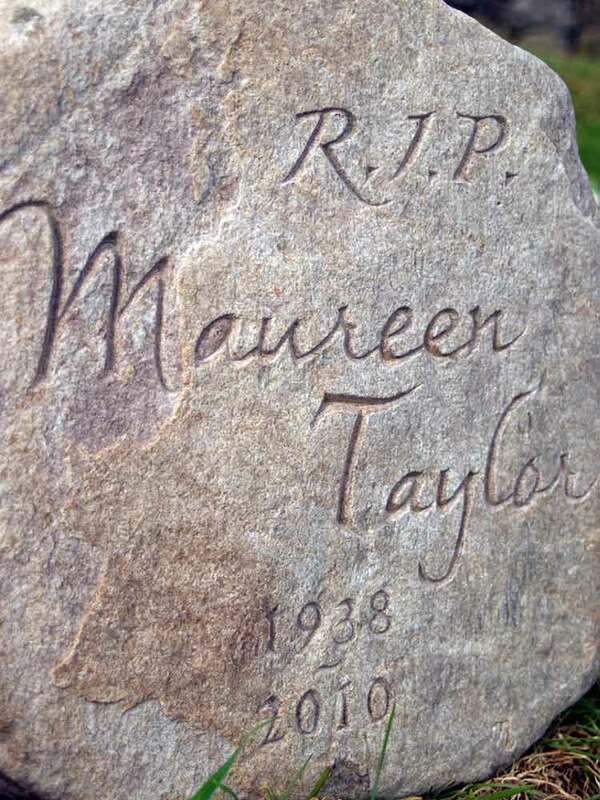 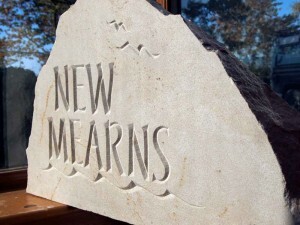 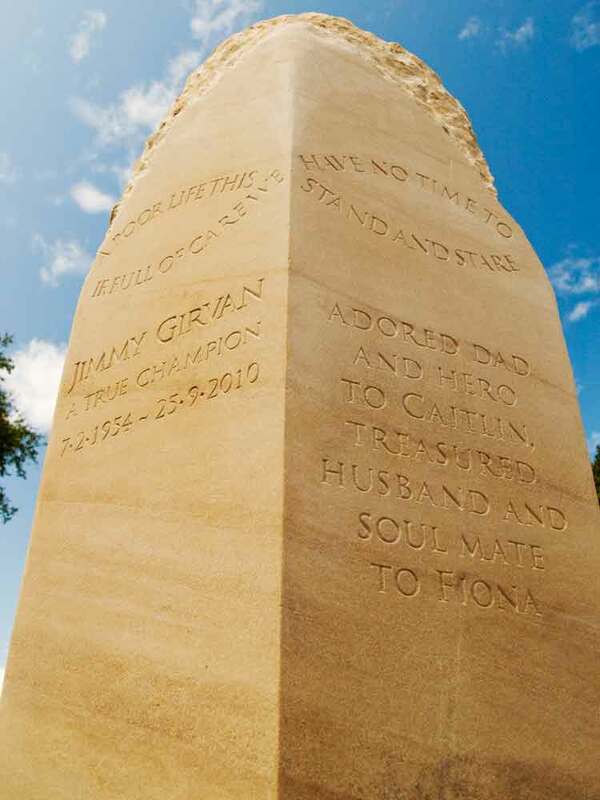 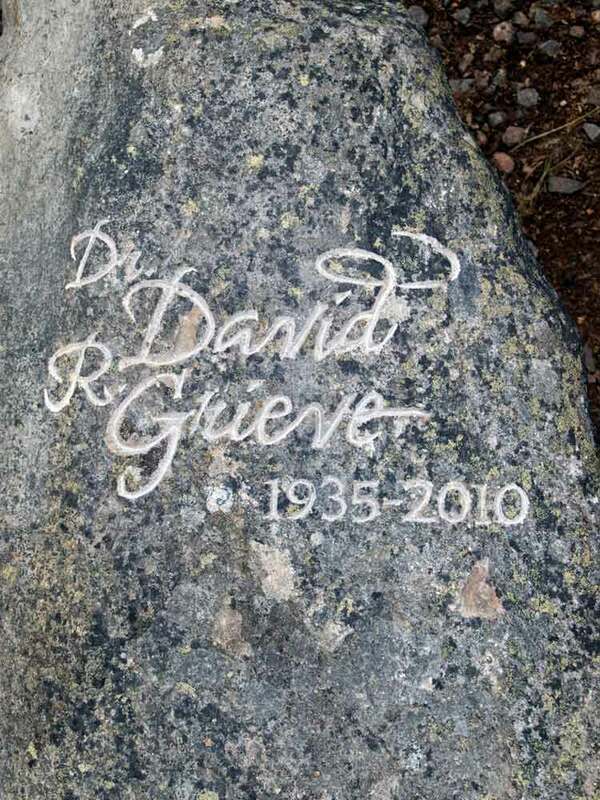 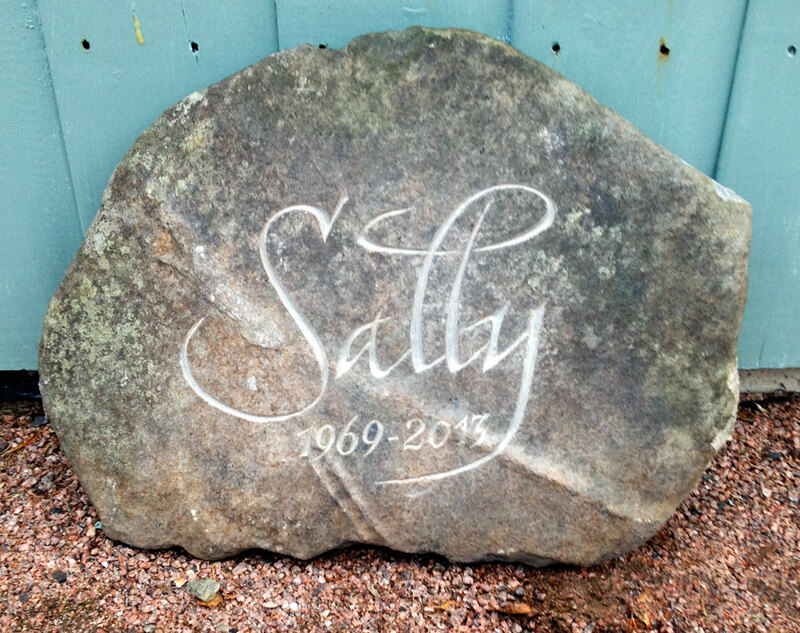 A specially designed, hand-carved stone makes a fitting memorial to a family pet. 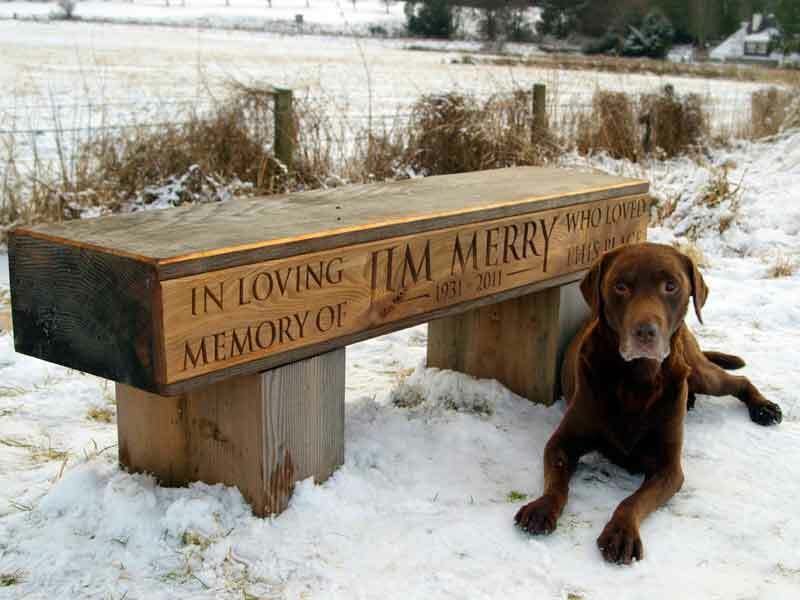 These can include simply the name and dates or even a special design or carved likeness of your dog, cat or indeed any beloved animal.